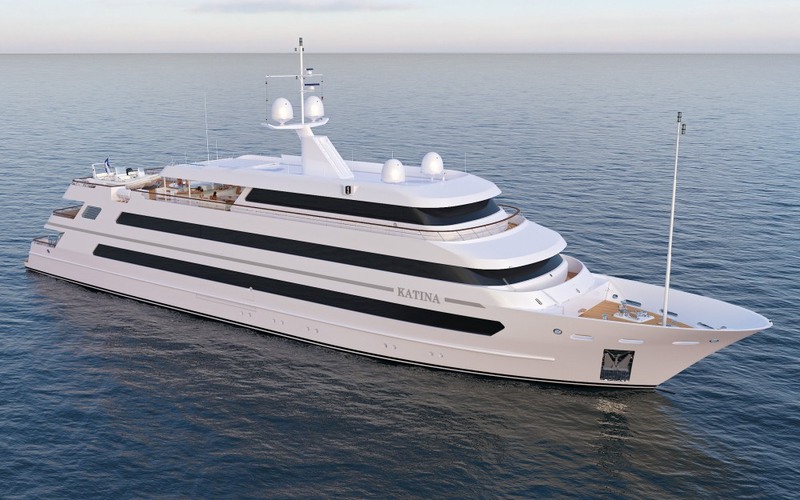 Launched in 2015, superyacht KATINA (hull 524) is a beautiful 60-metre vessel, built by the Croatian shipyard Brodosplit. 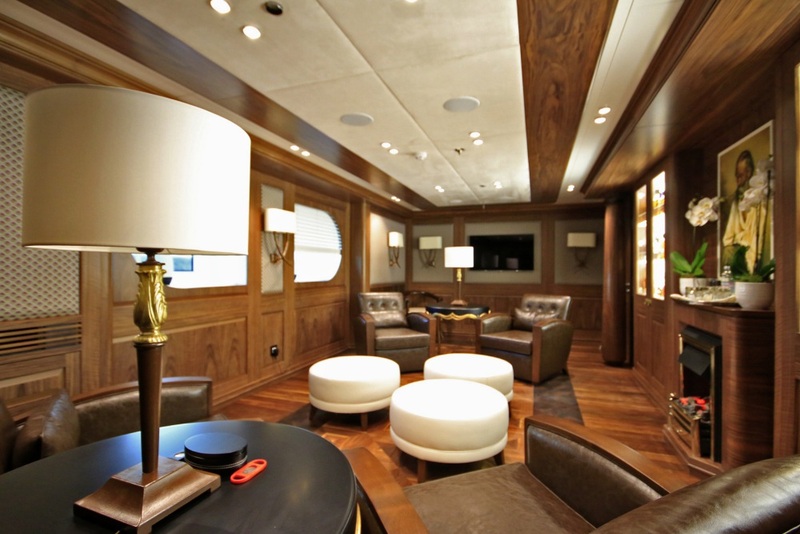 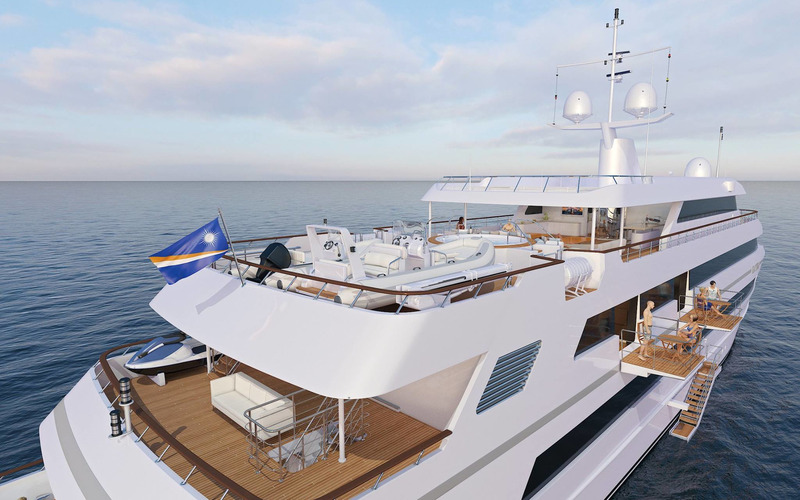 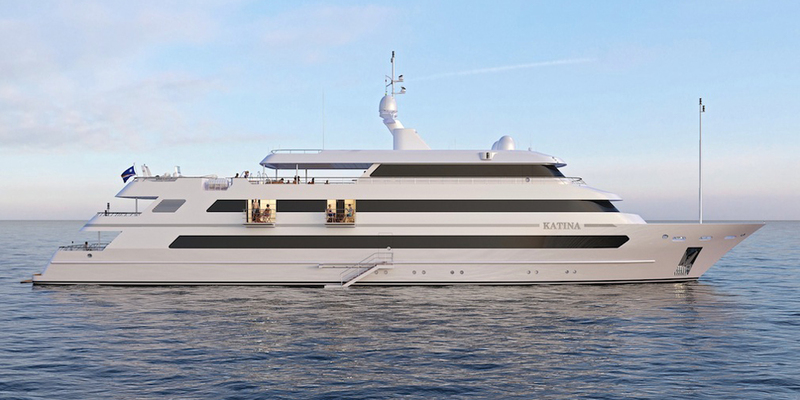 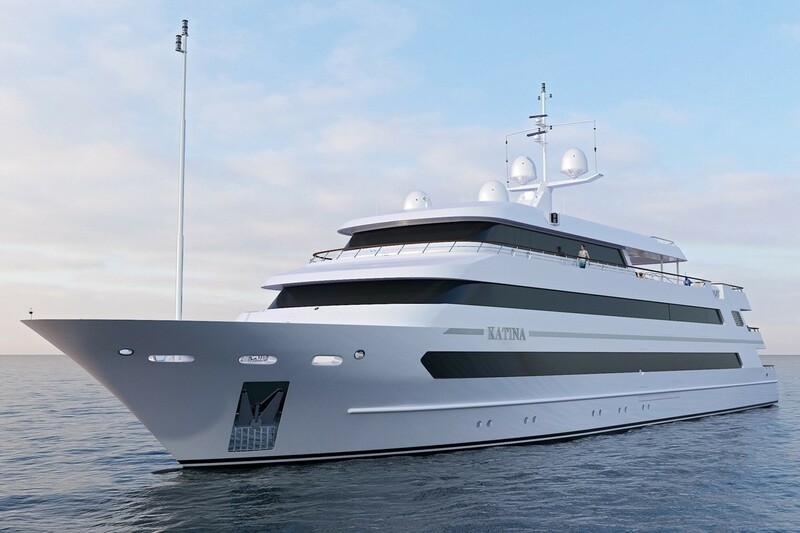 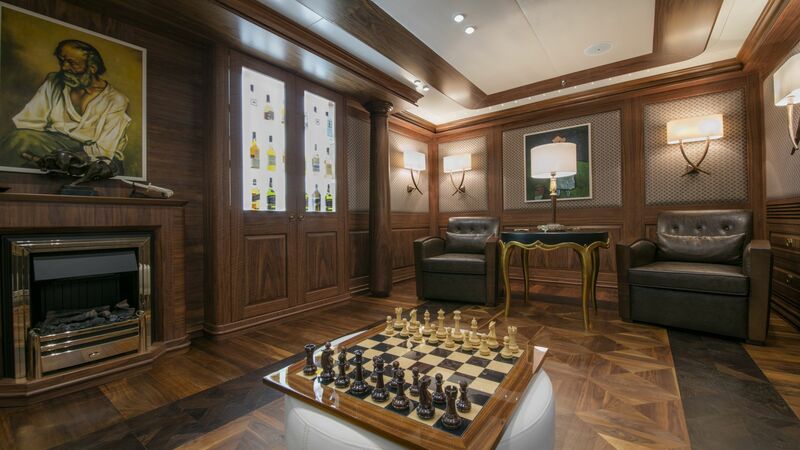 Motor yacht KATINA has been designed as a luxury charter yacht. 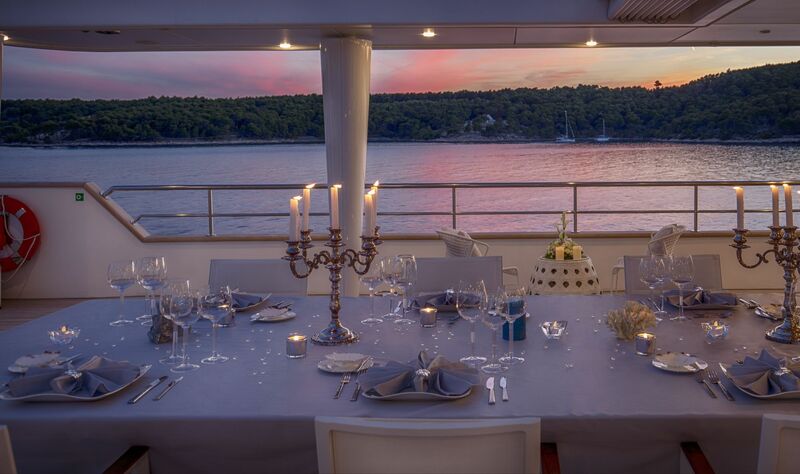 Katina is suitable for families wanting to relax and style or special events. 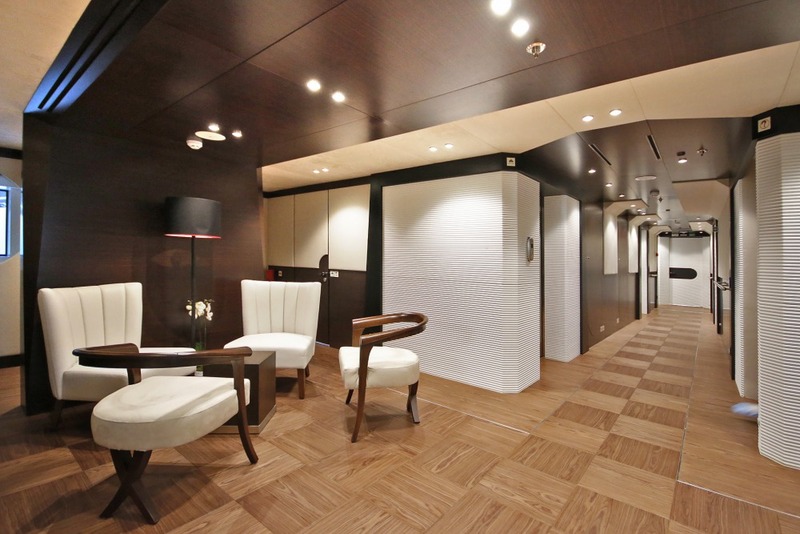 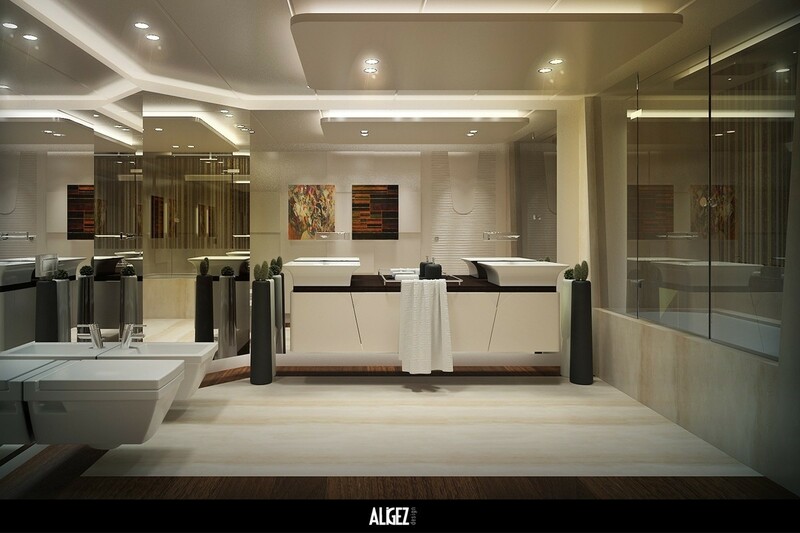 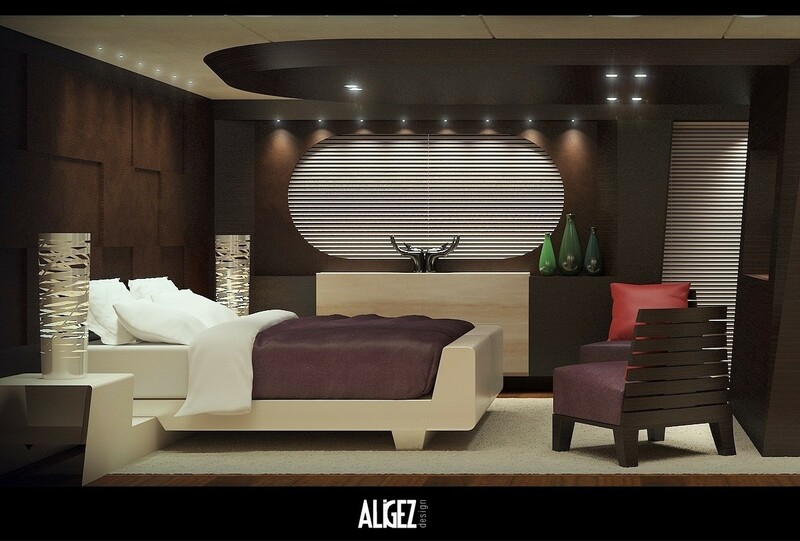 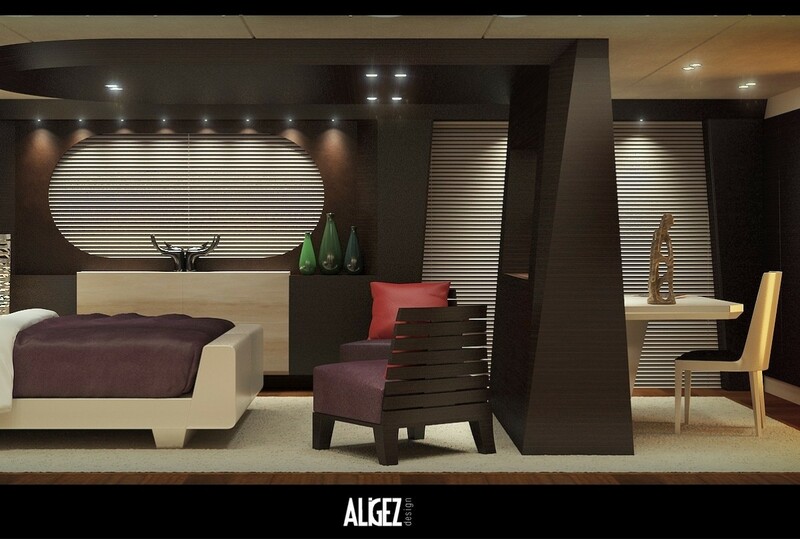 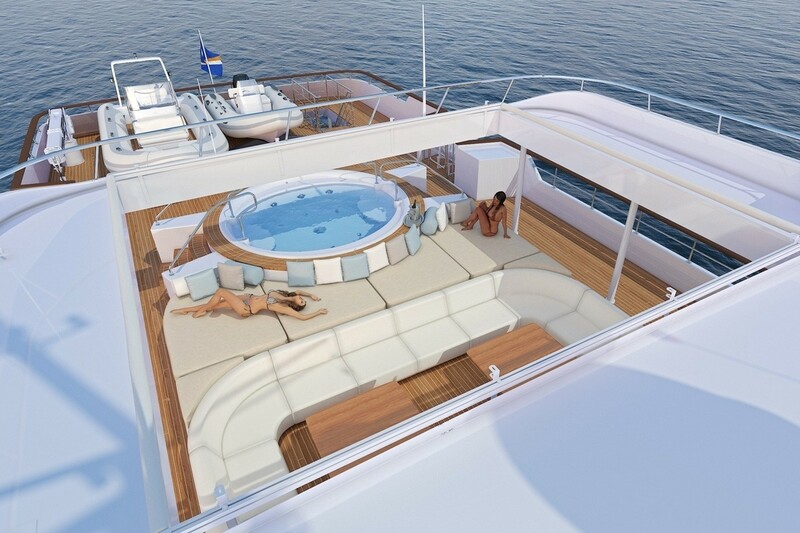 Her living spaces are of a generous size, including sunbathing, socializing, relaxation and dining areas. 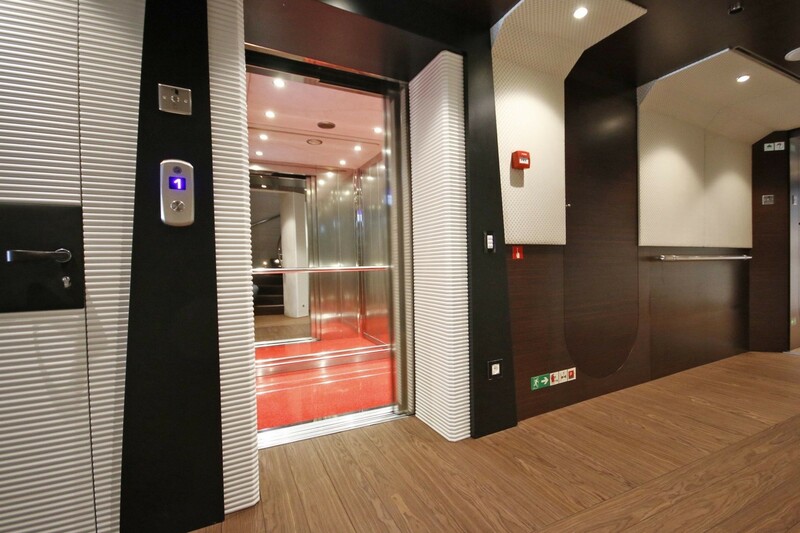 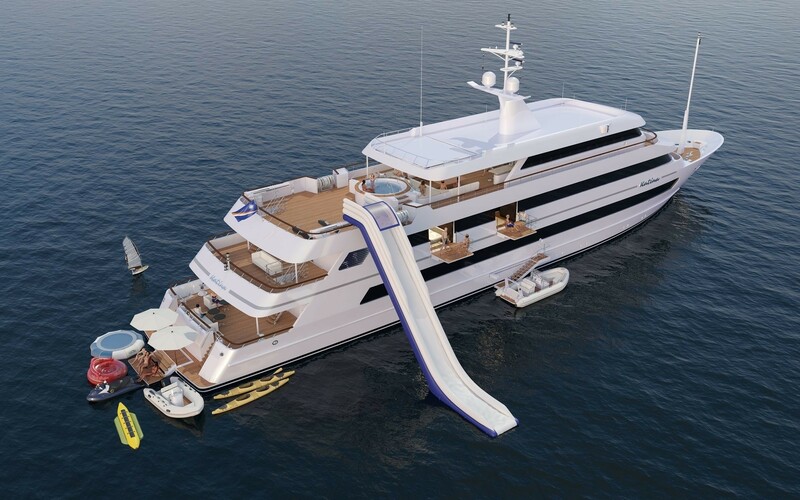 There is also an elevator that serves all deck. 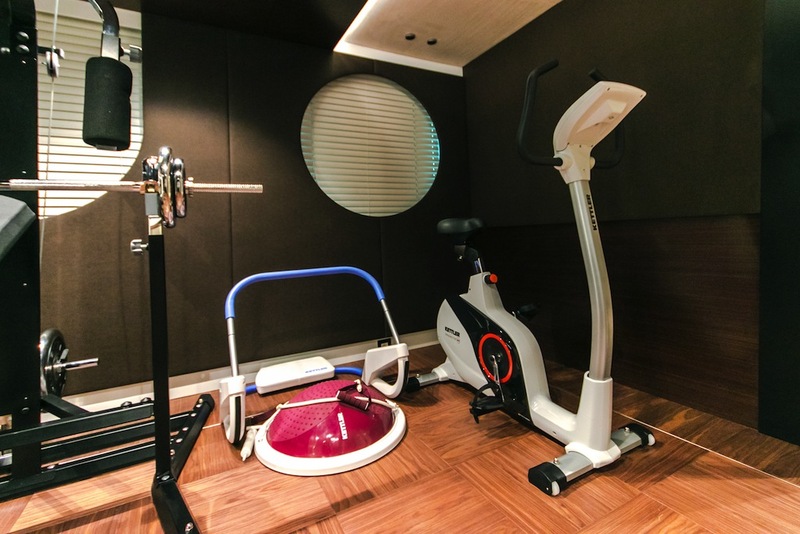 For those leading an active lifestyle, there is a gymnasium, as well as a great selection of water toys. 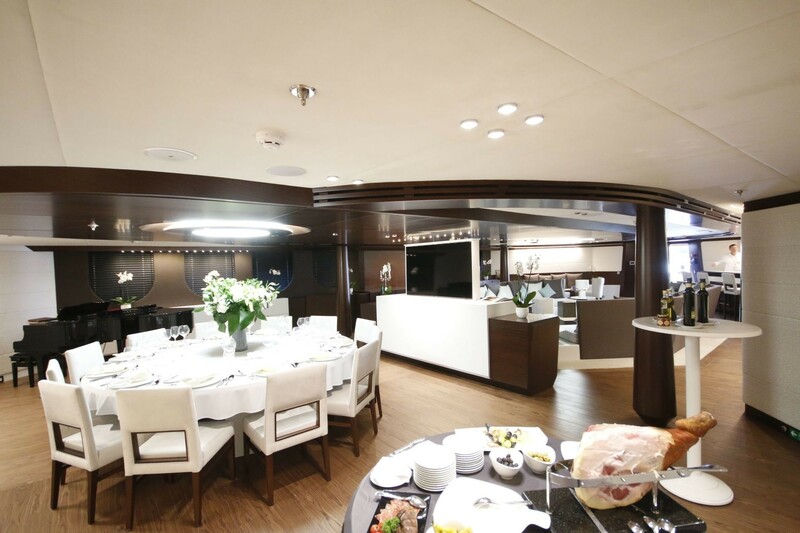 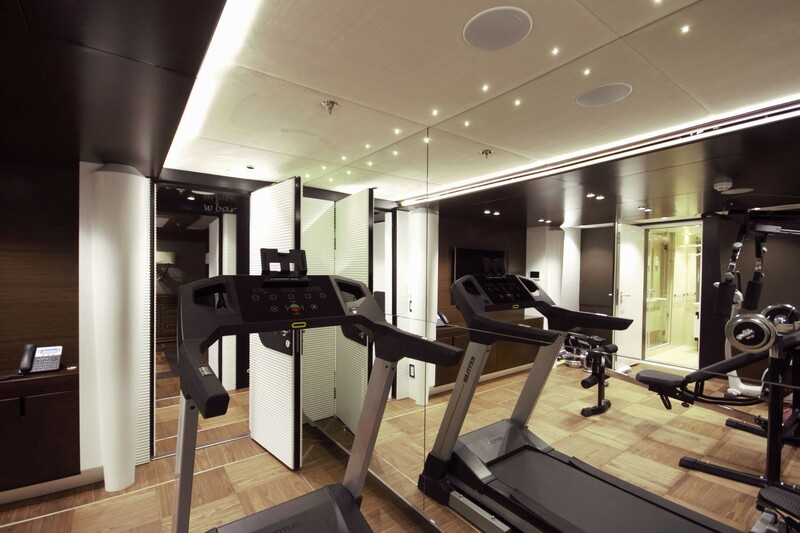 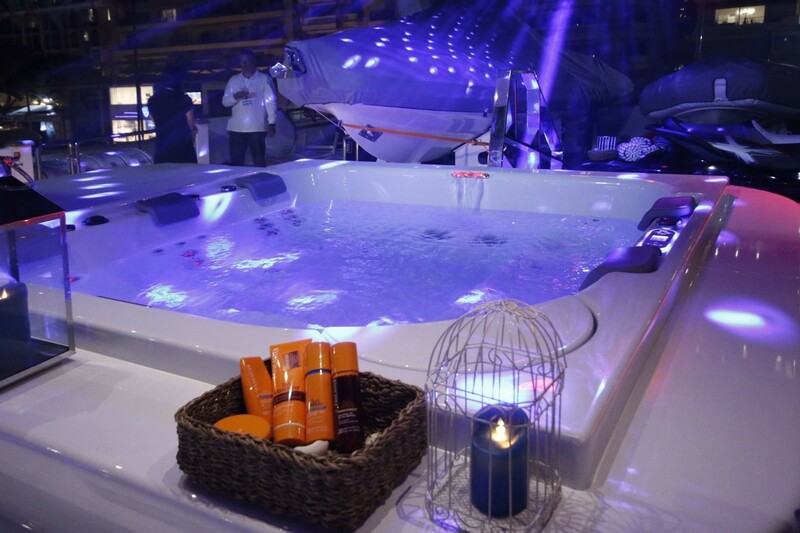 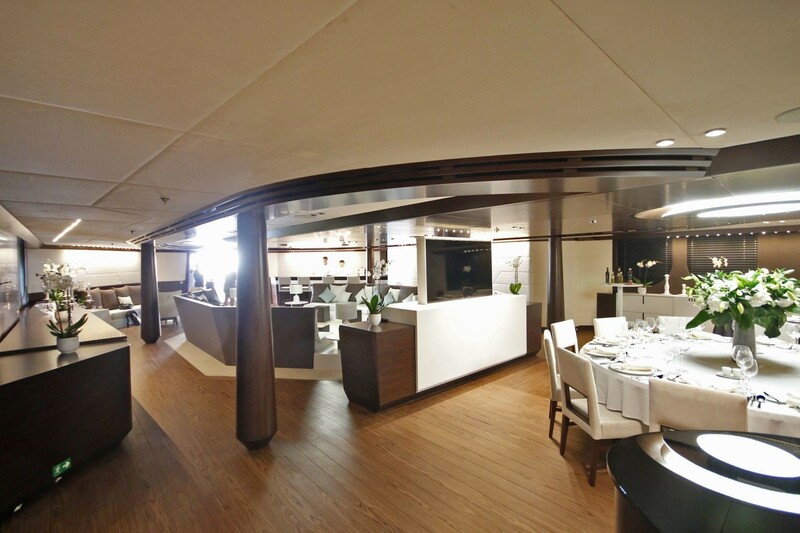 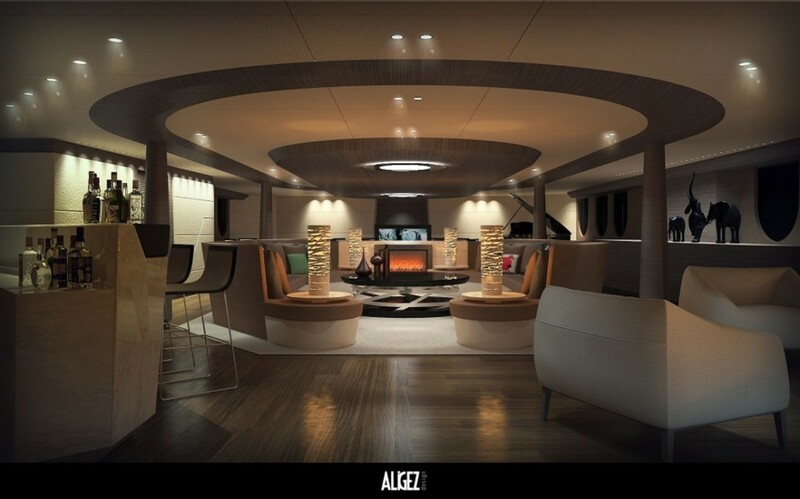 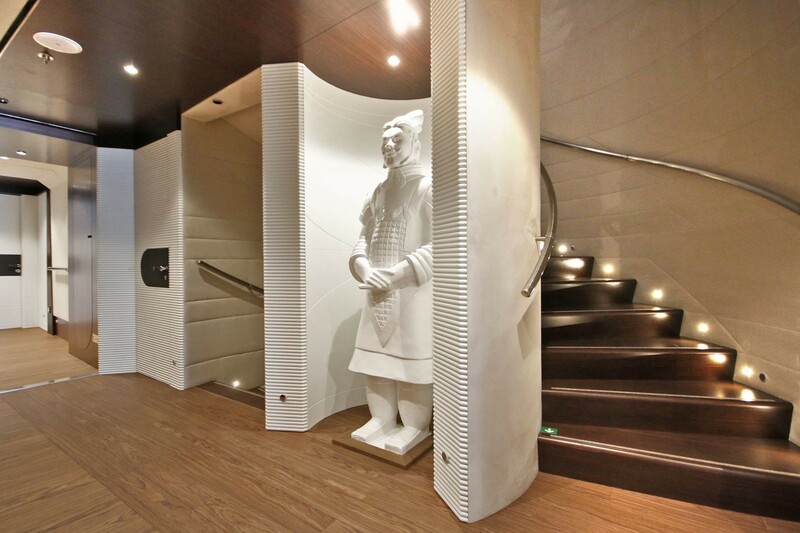 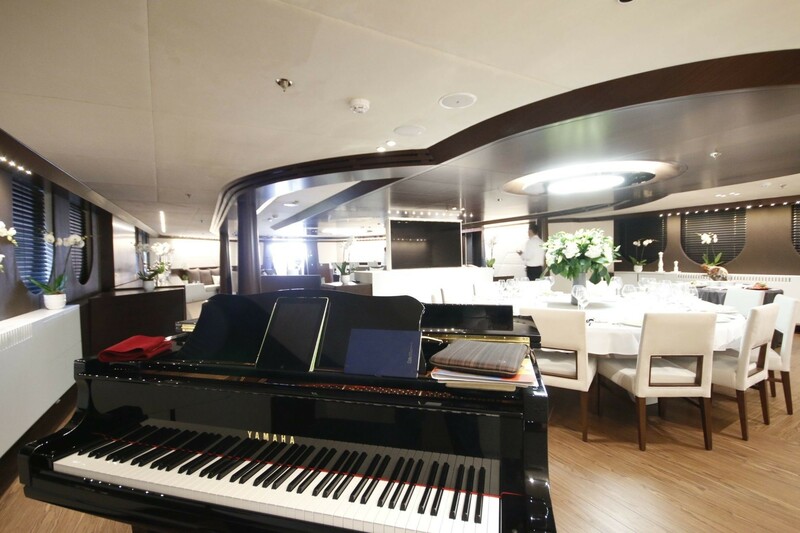 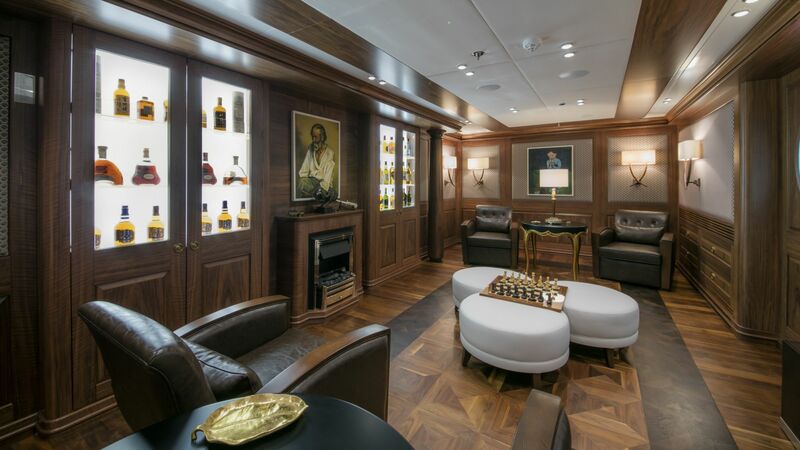 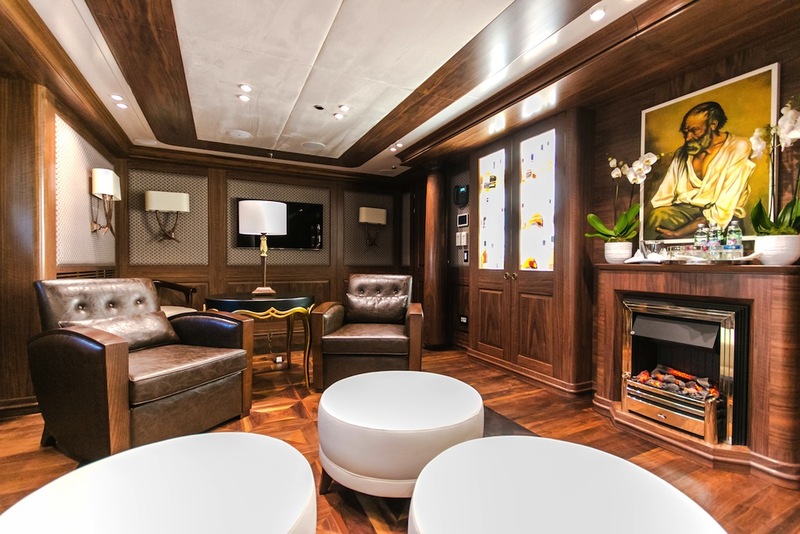 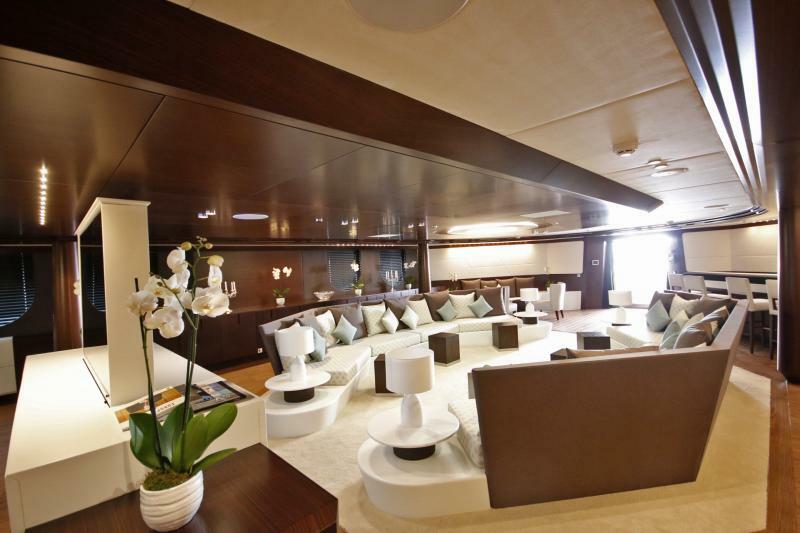 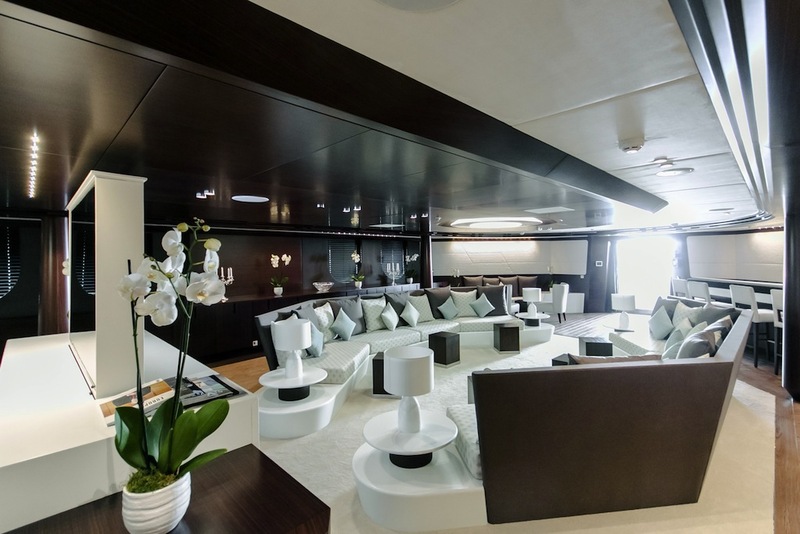 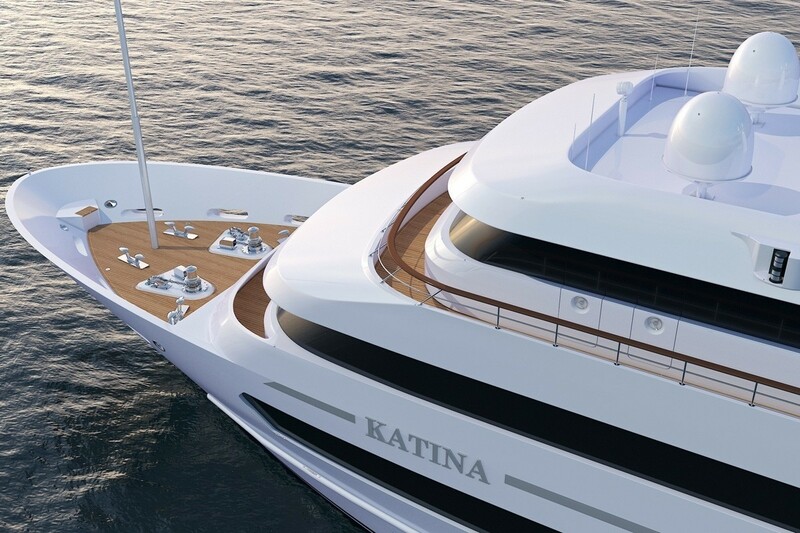 To unwind after a long day exploring the best destinations aboard Katina, the guests can enjoy sauna and Jacuzzi, or sip a cocktail at of the two bars. 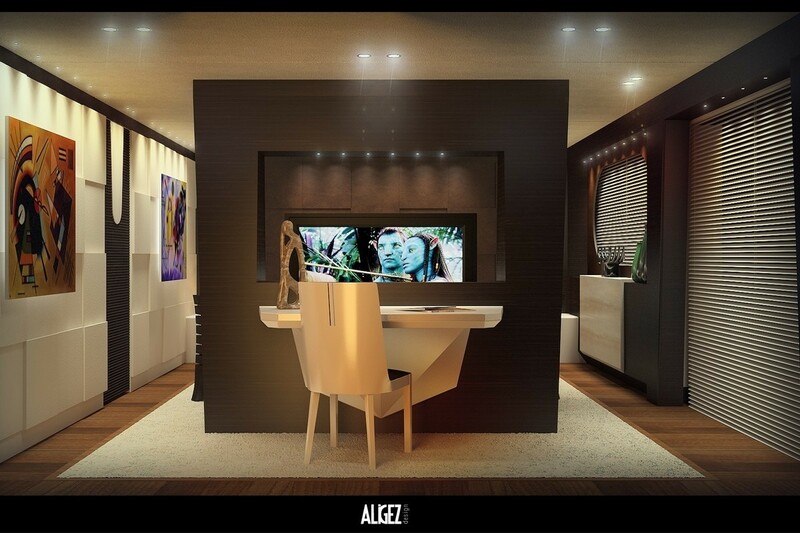 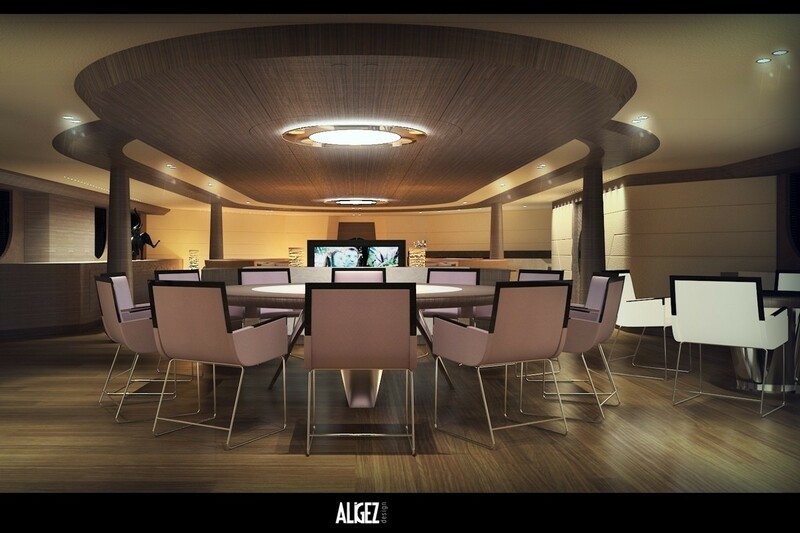 A/V entertainment system are available throughout. 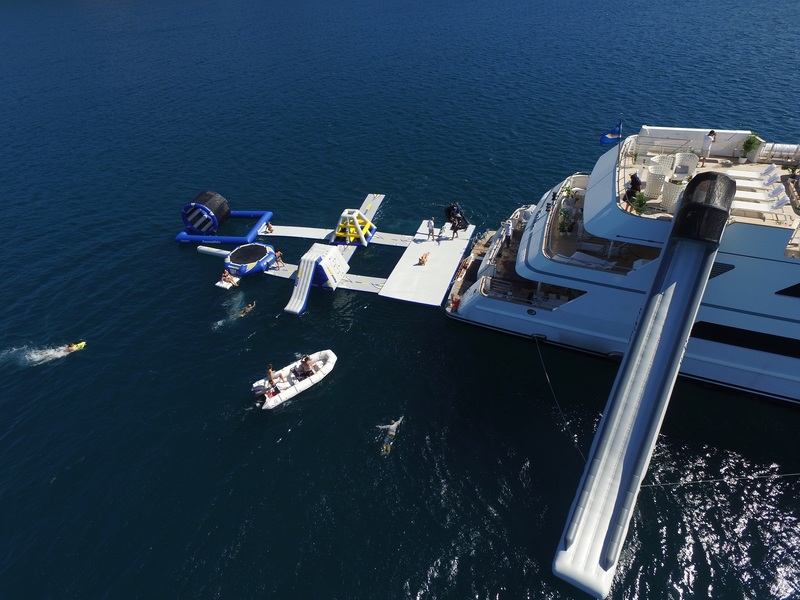 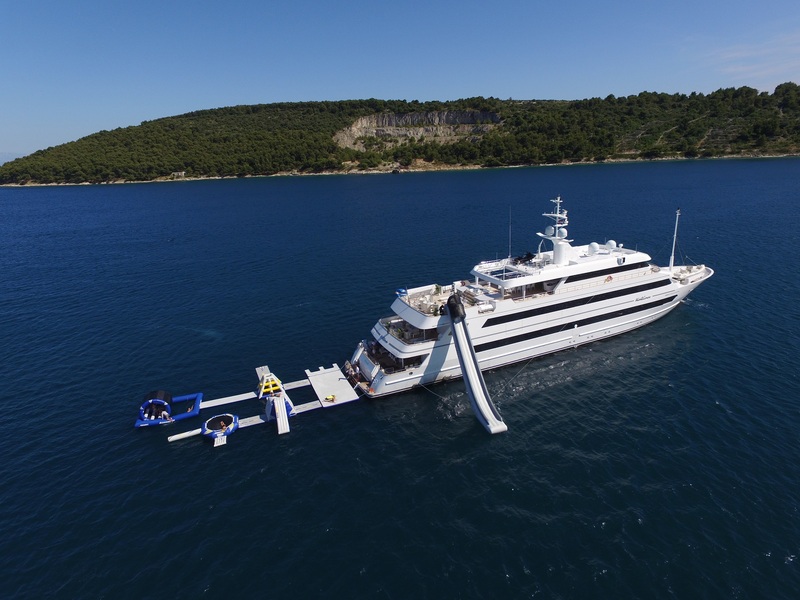 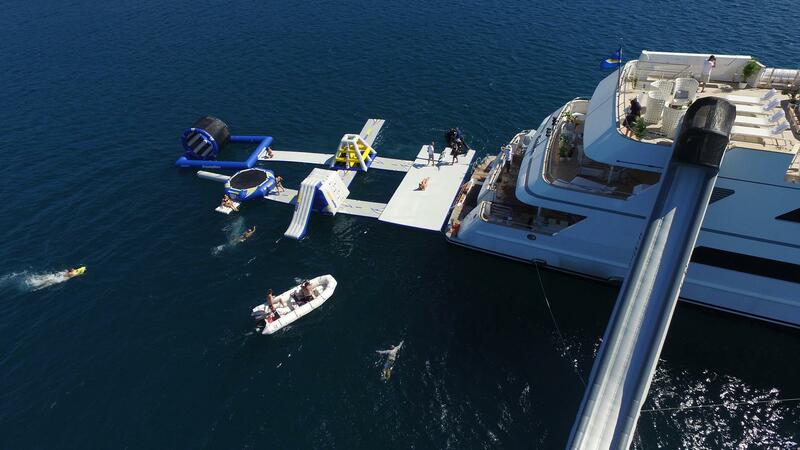 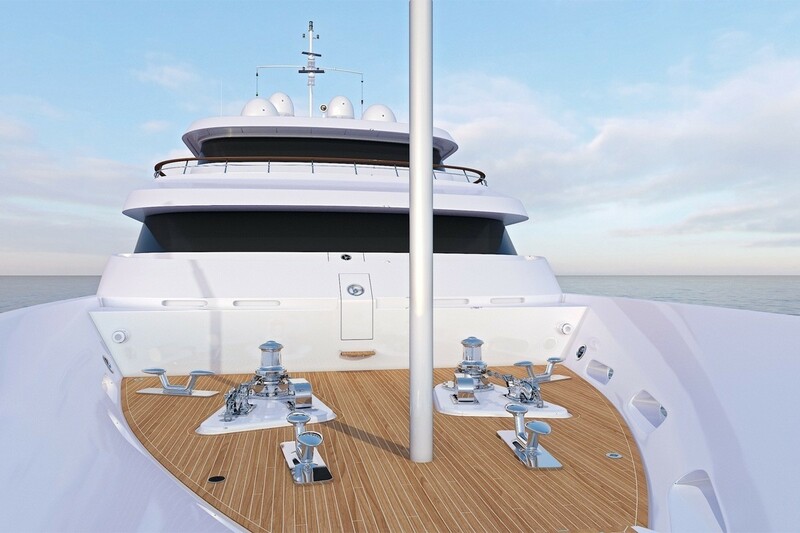 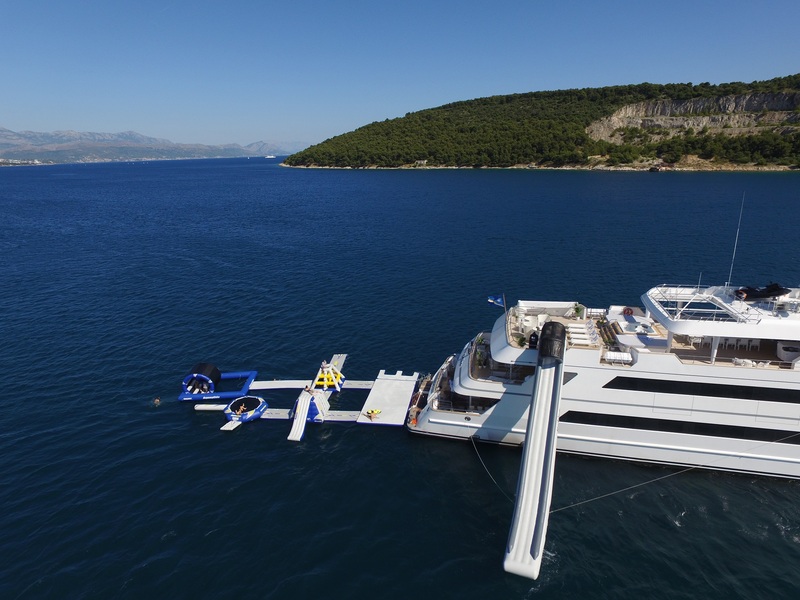 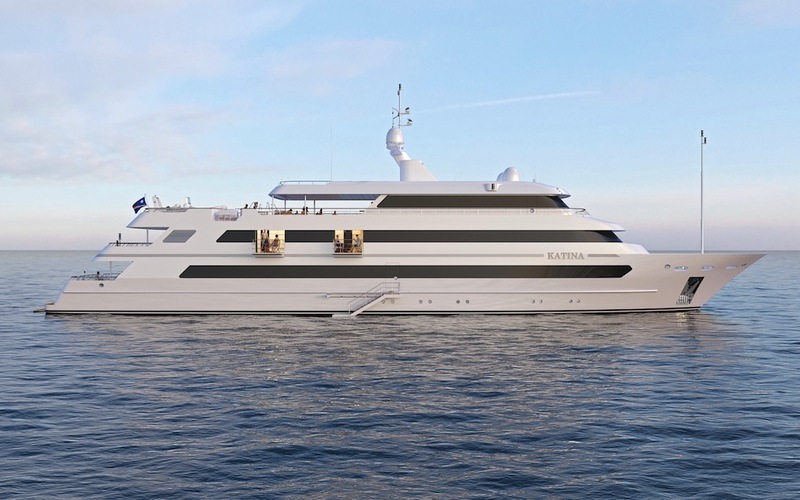 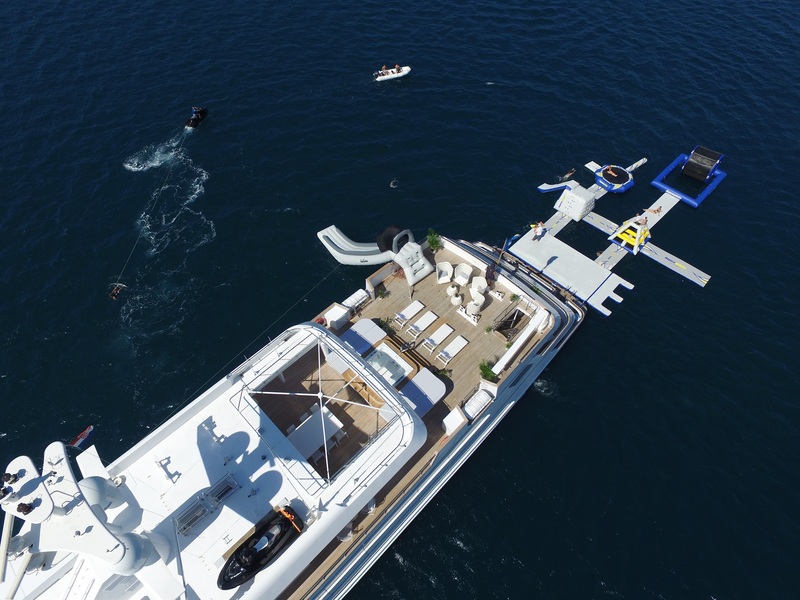 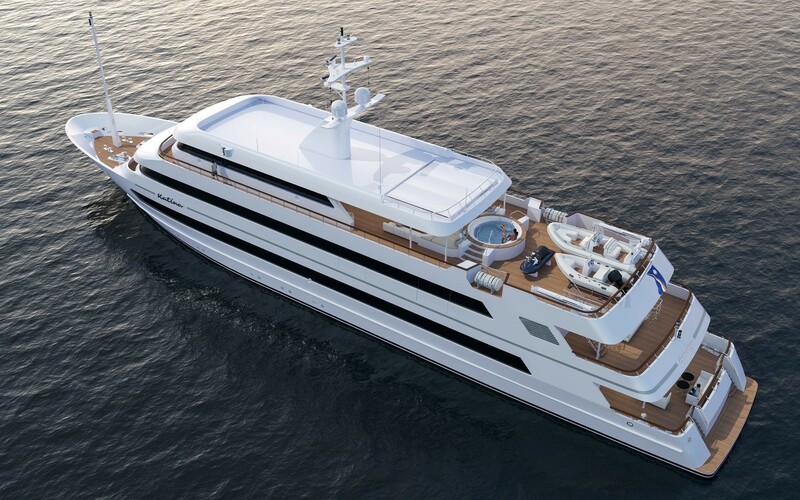 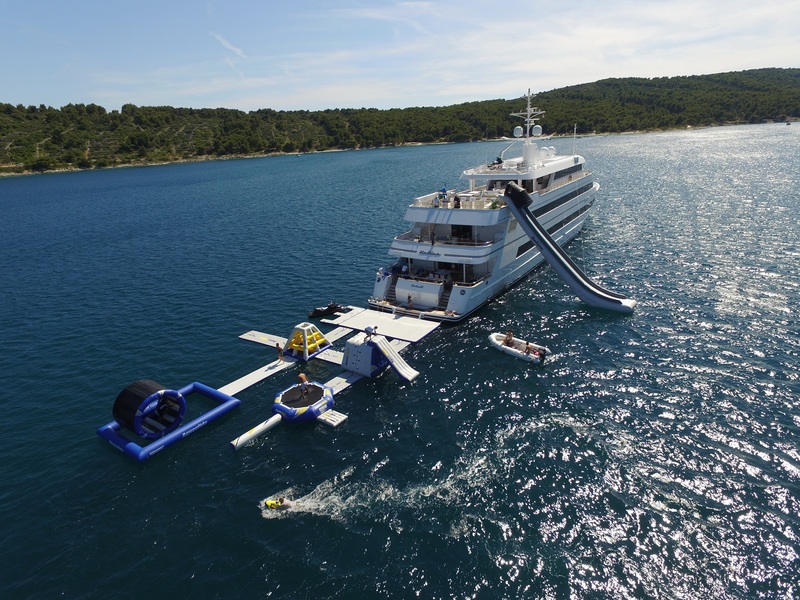 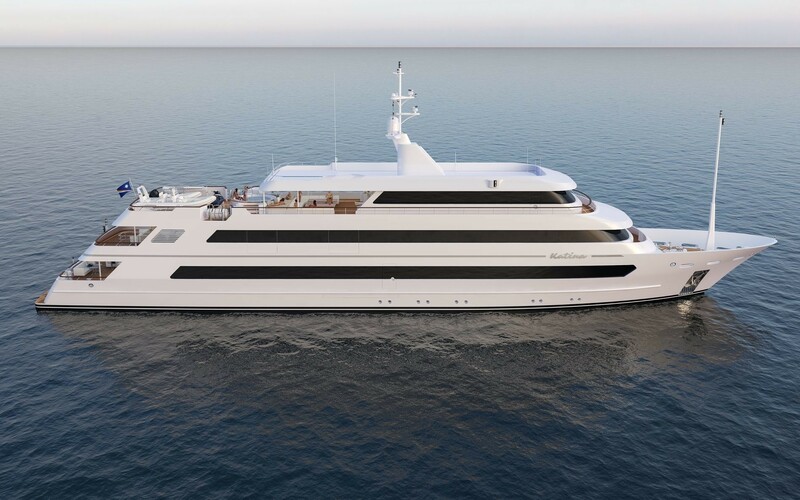 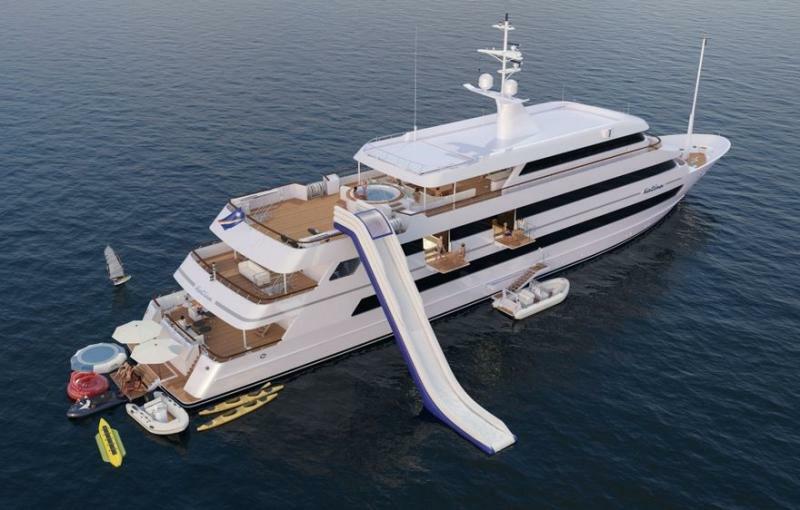 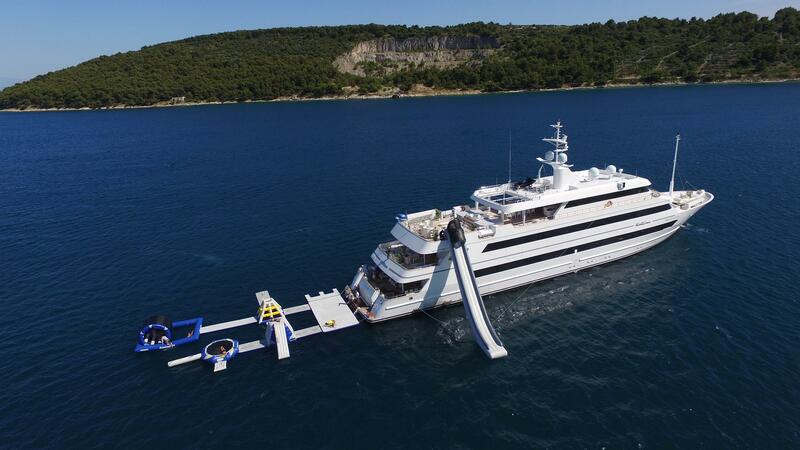 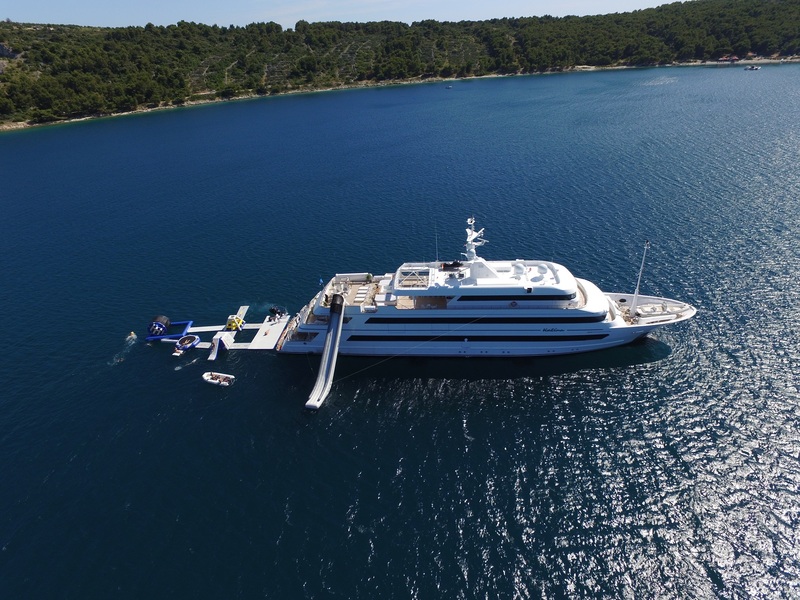 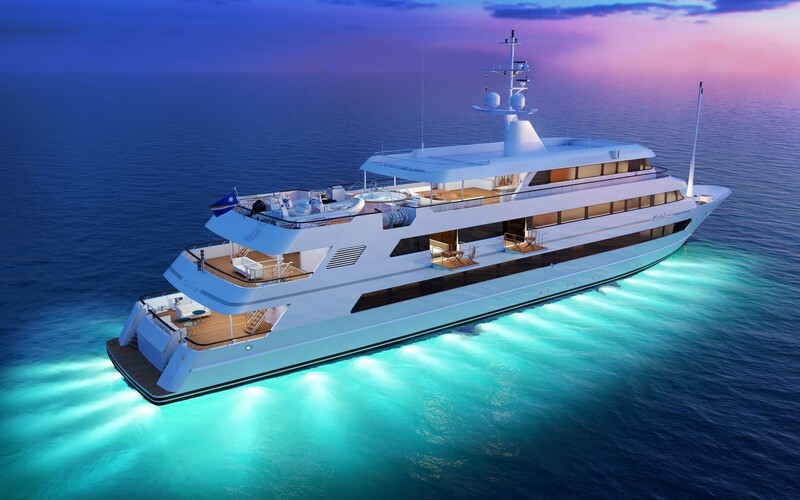 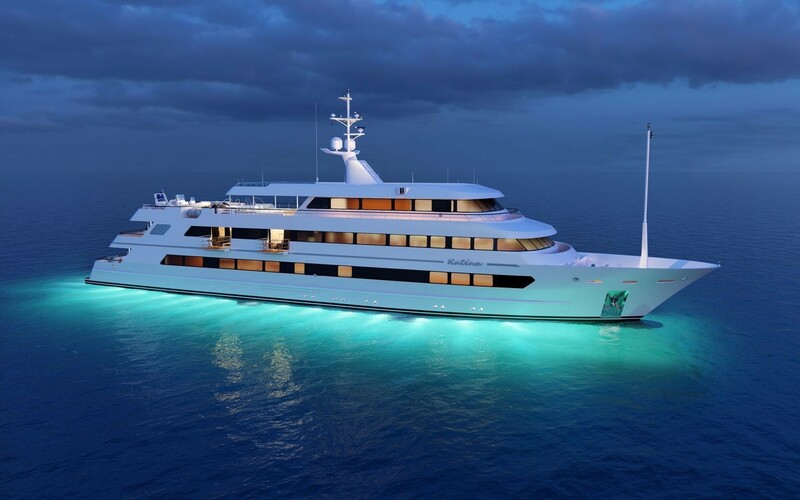 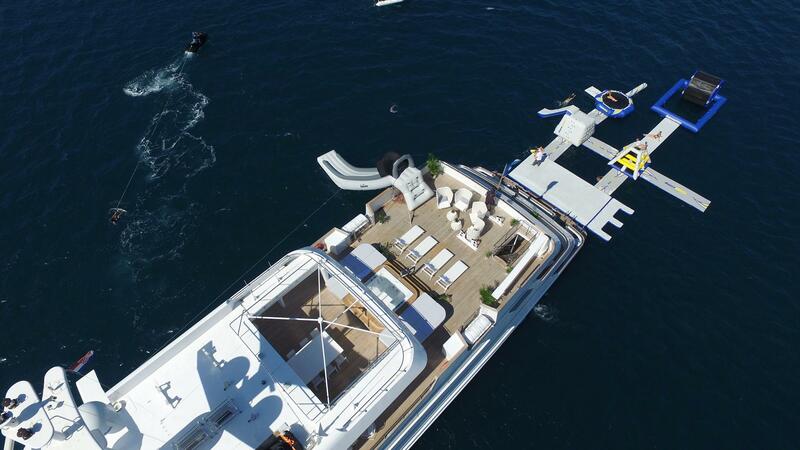 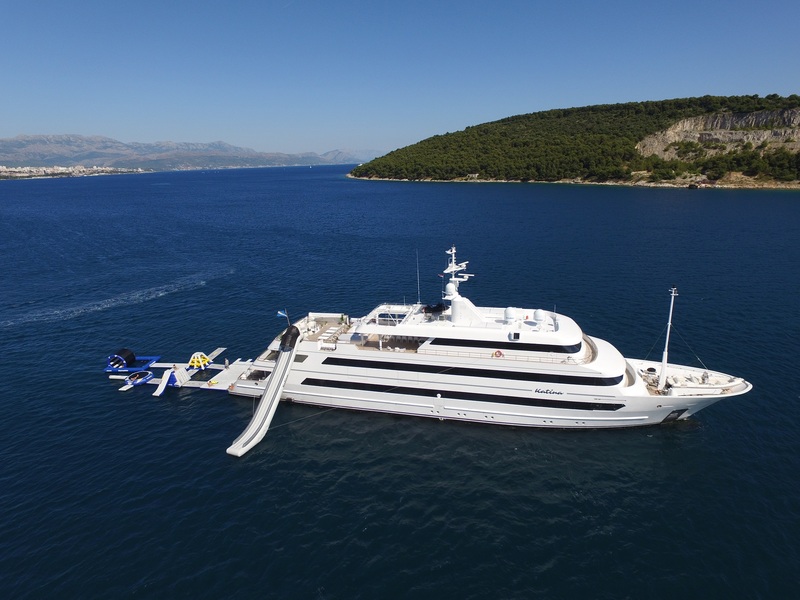 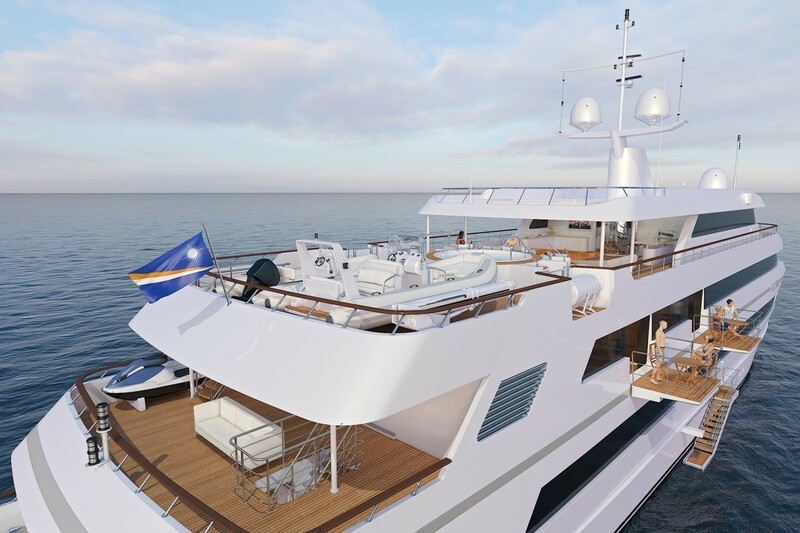 Super yacht KATINA also boasts a wide range of water toys, including fishing equipment, water skis, SUP paddle boards, a Waverunner and an underwater camera. 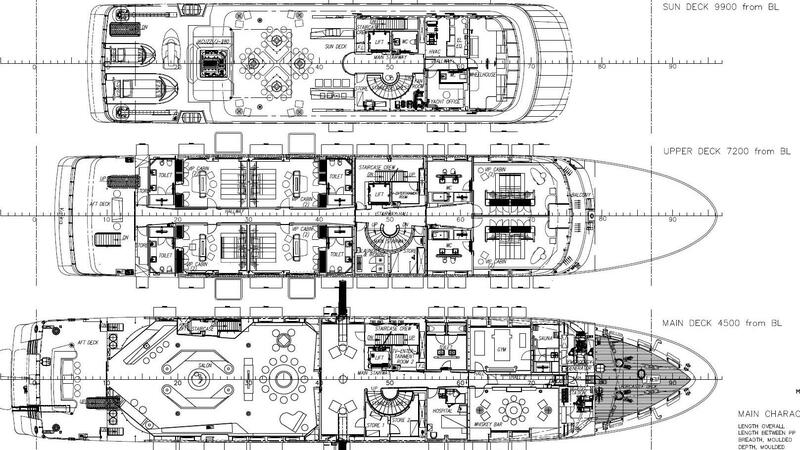 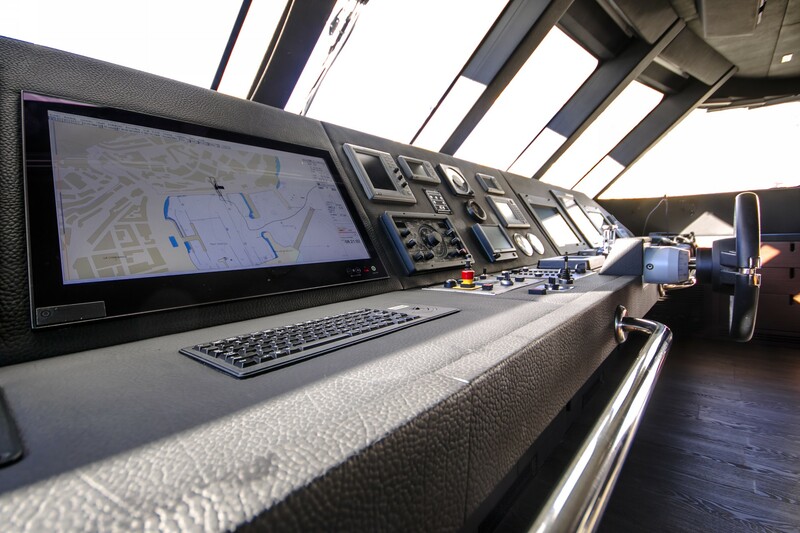 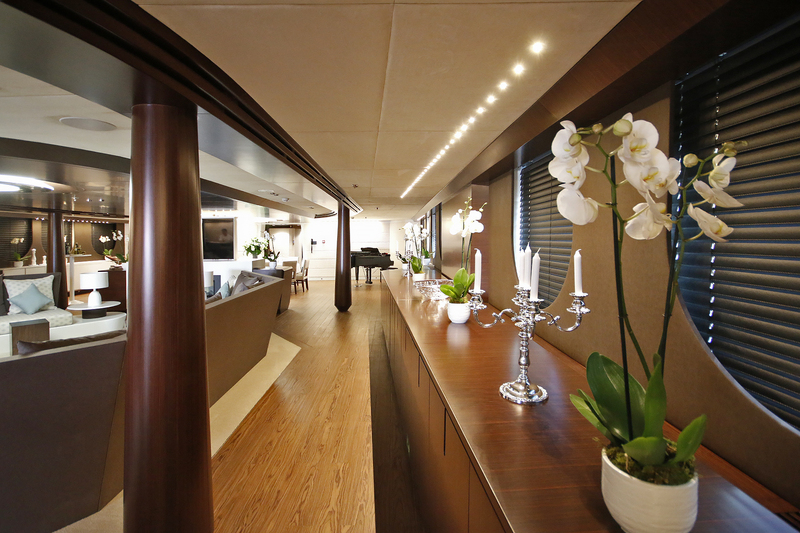 Luxury yacht KATINA (hull 524) is run by twin CAT C32 1,900 hp diesel, reaching a top speed of approximately 14 knots. 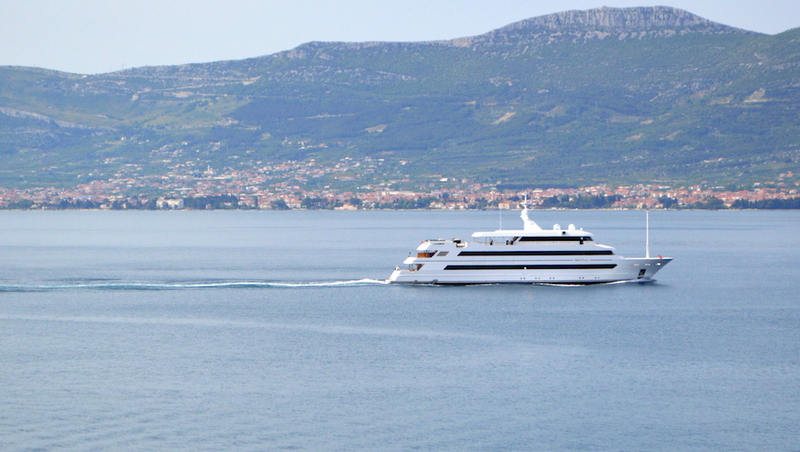 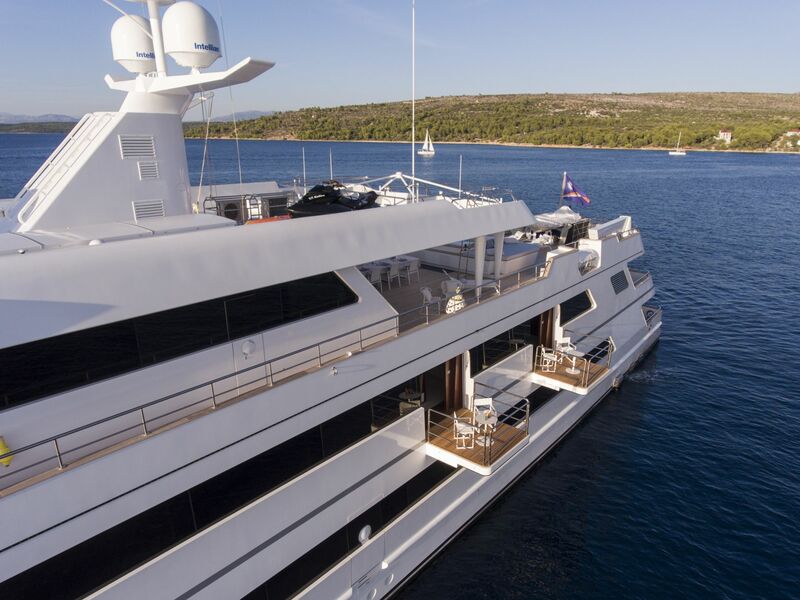 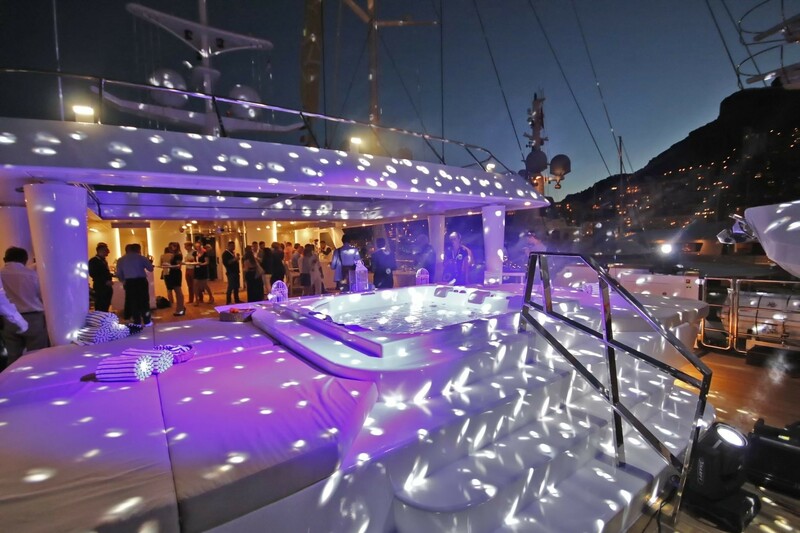 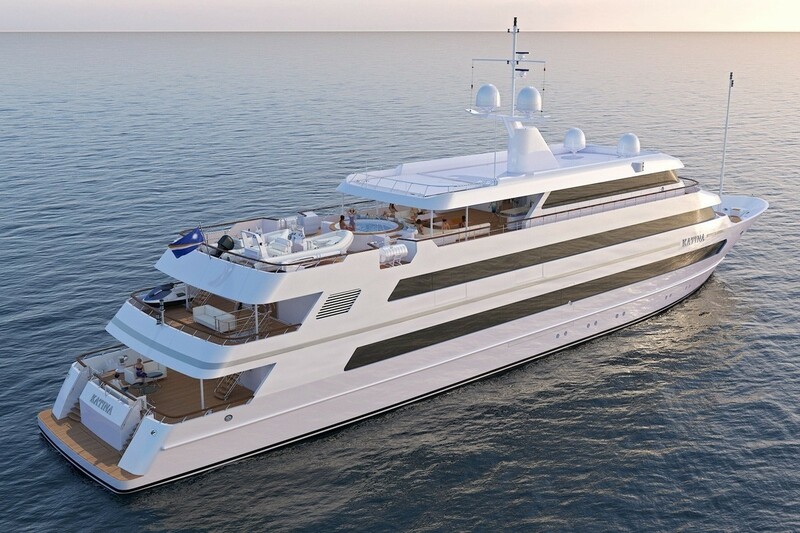 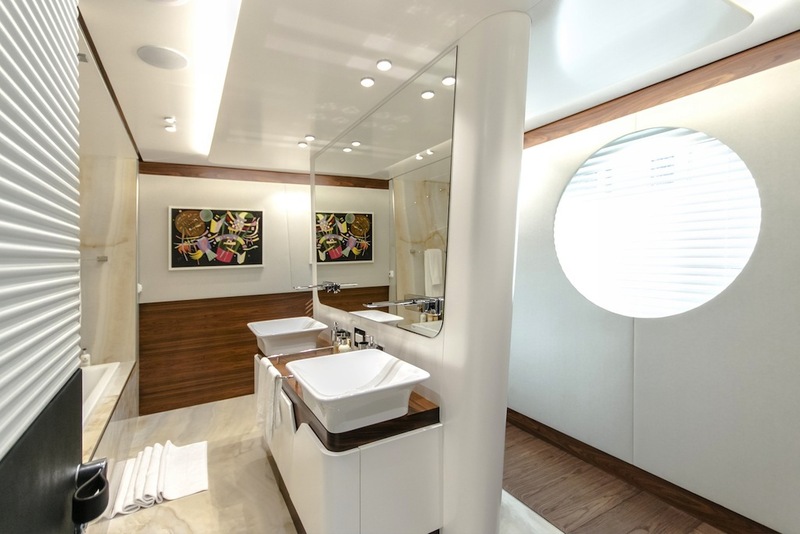 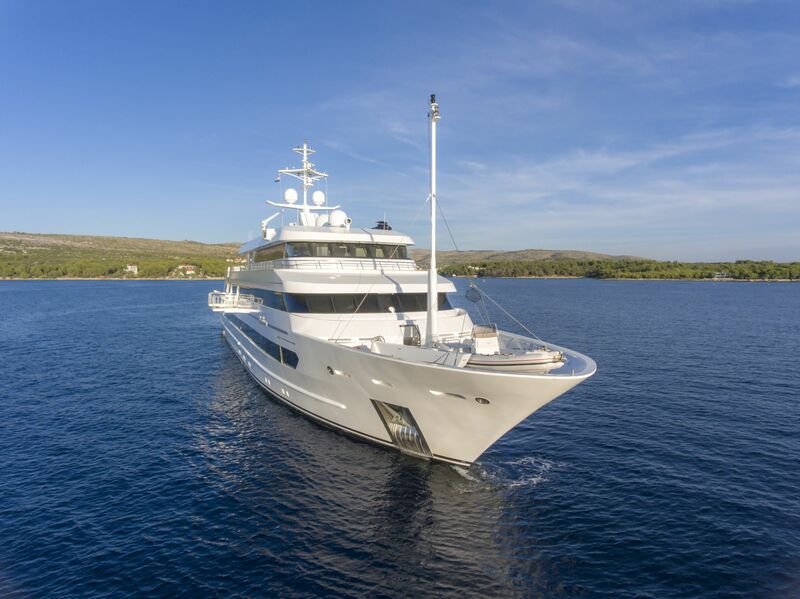 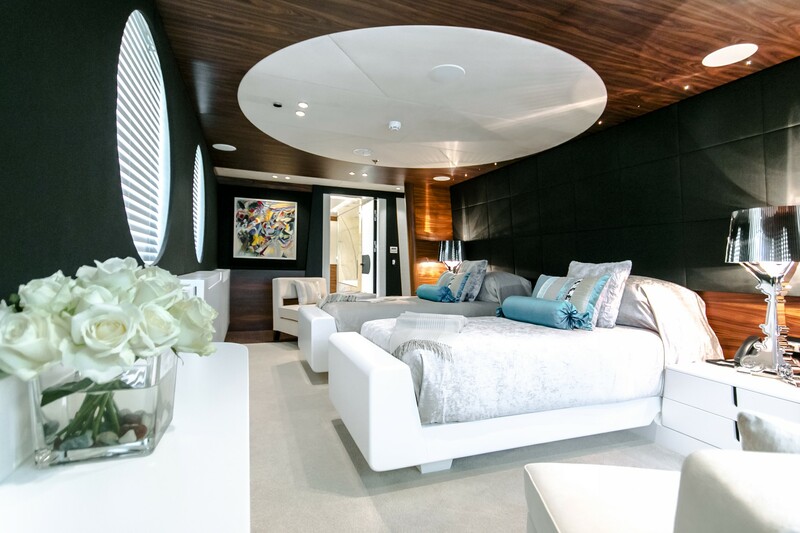 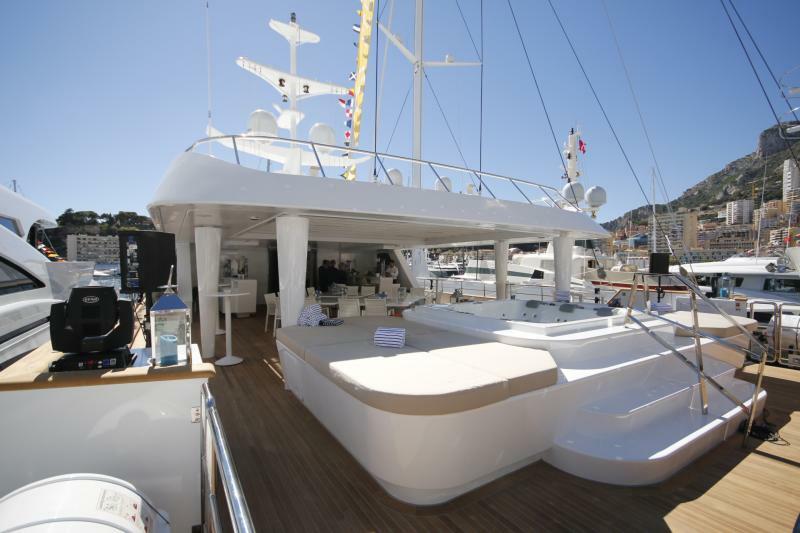 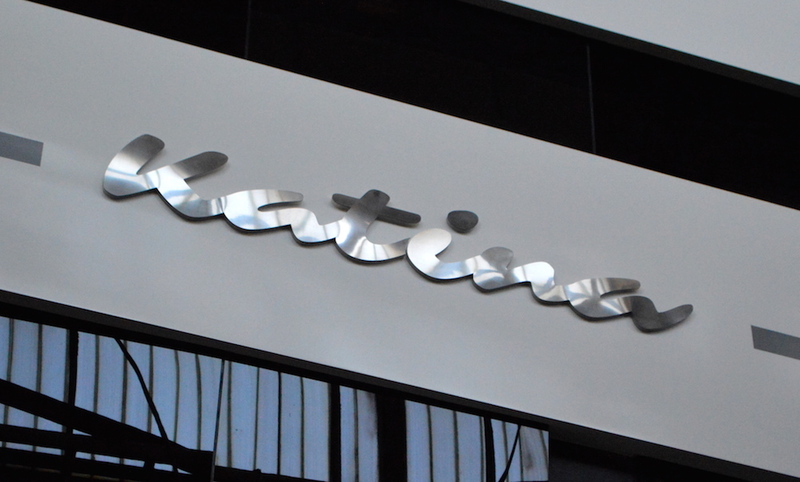 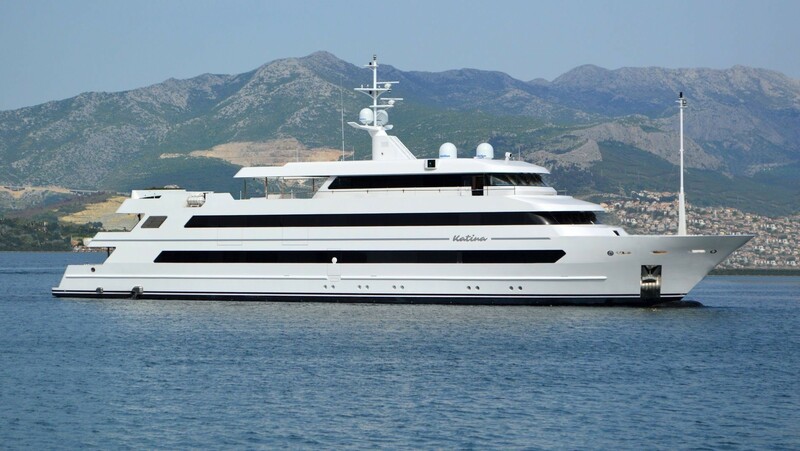 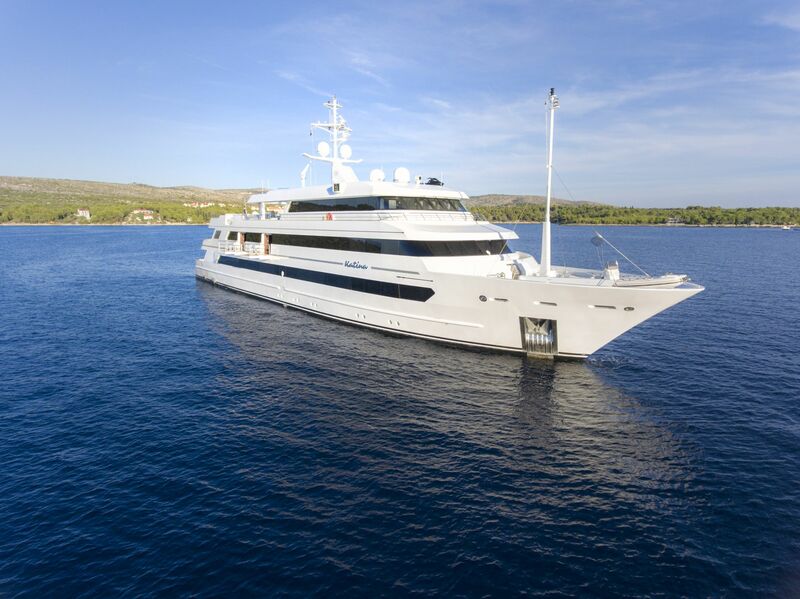 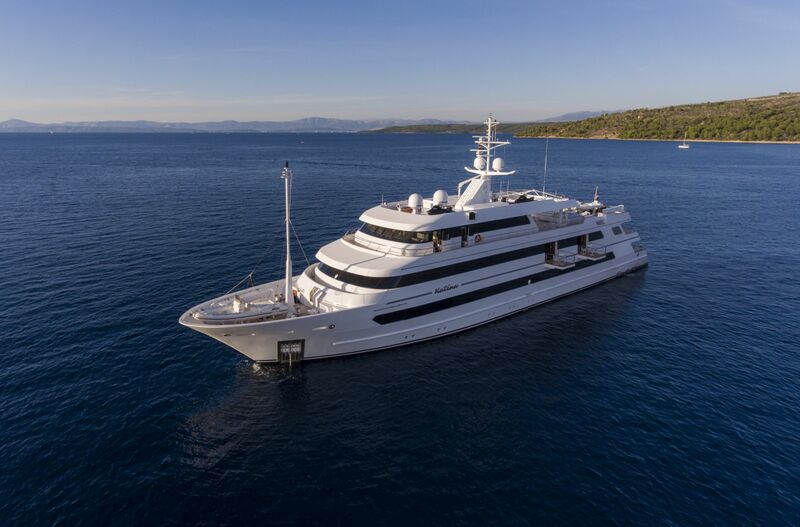 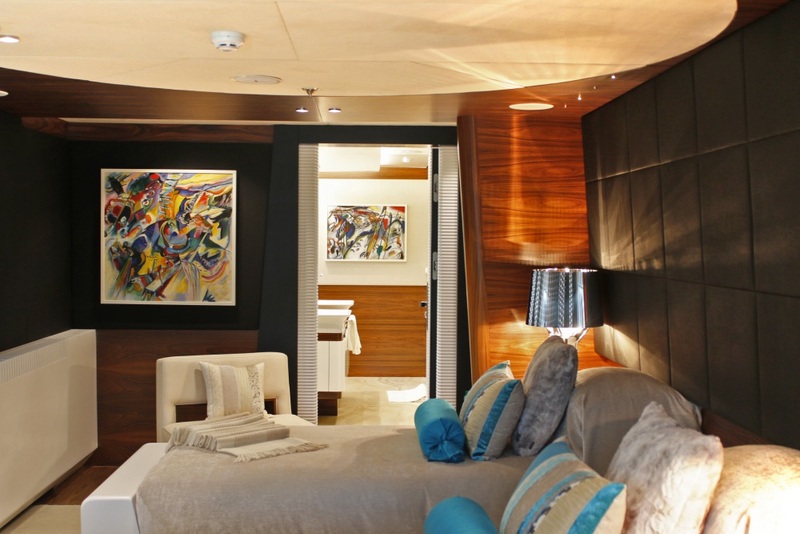 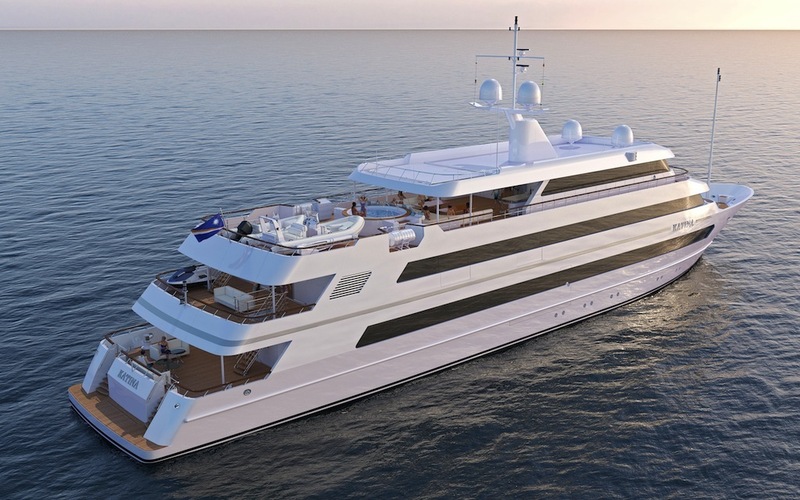 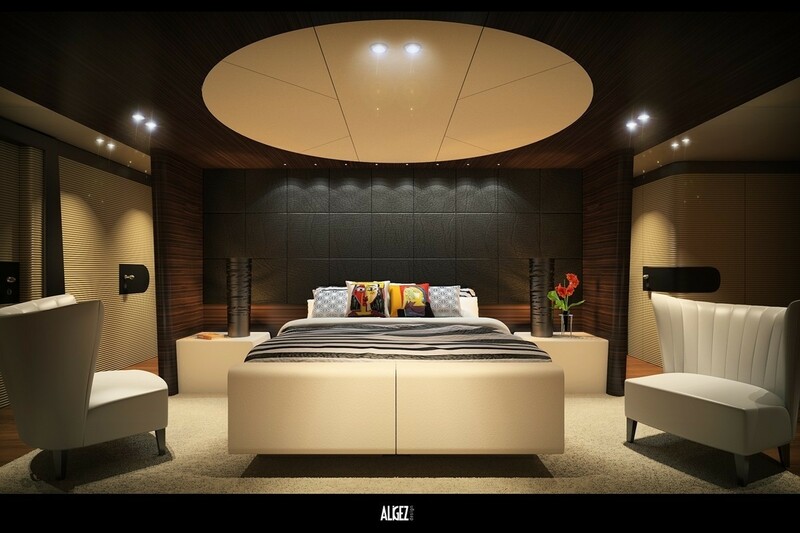 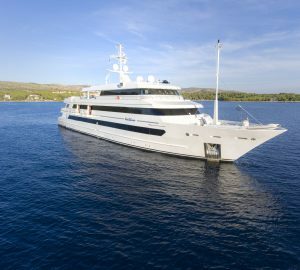 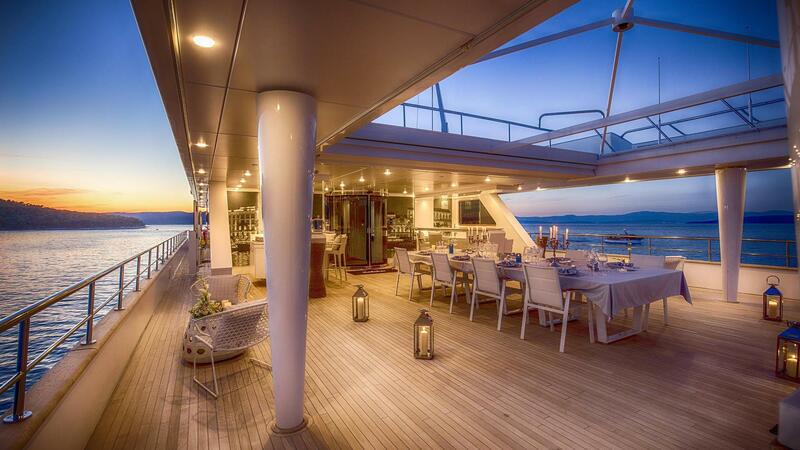 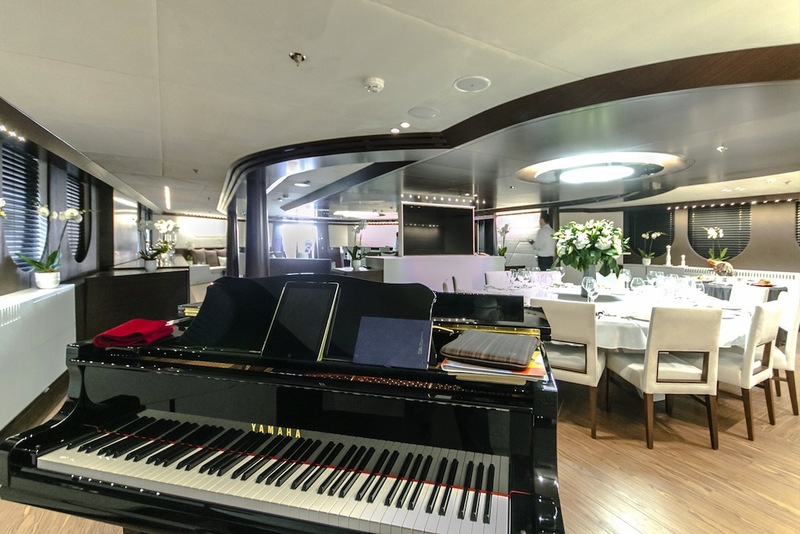 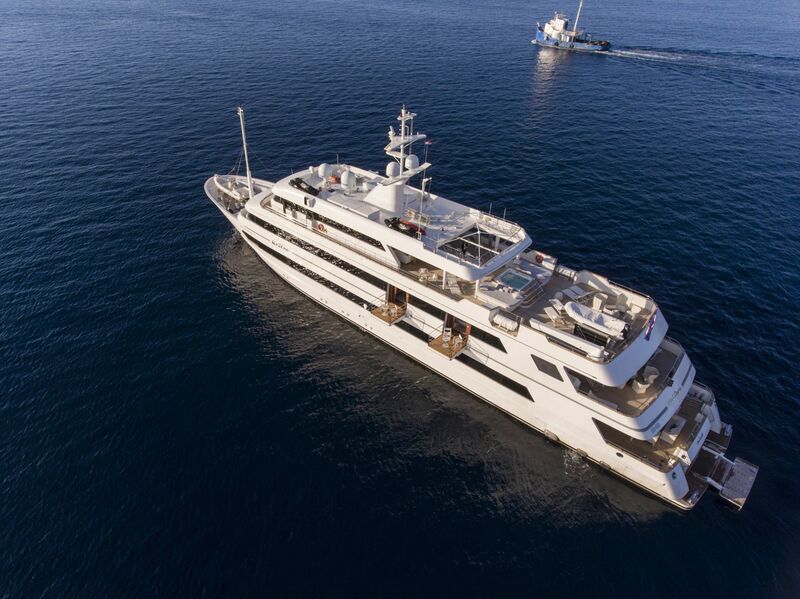 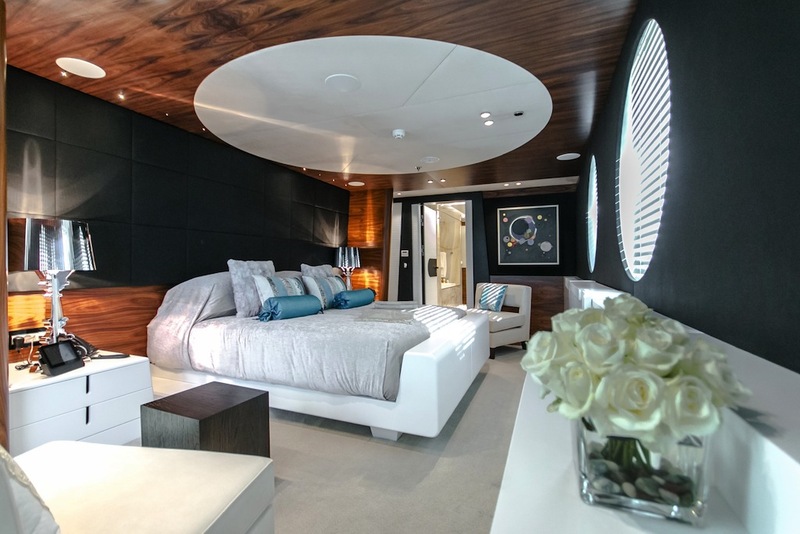 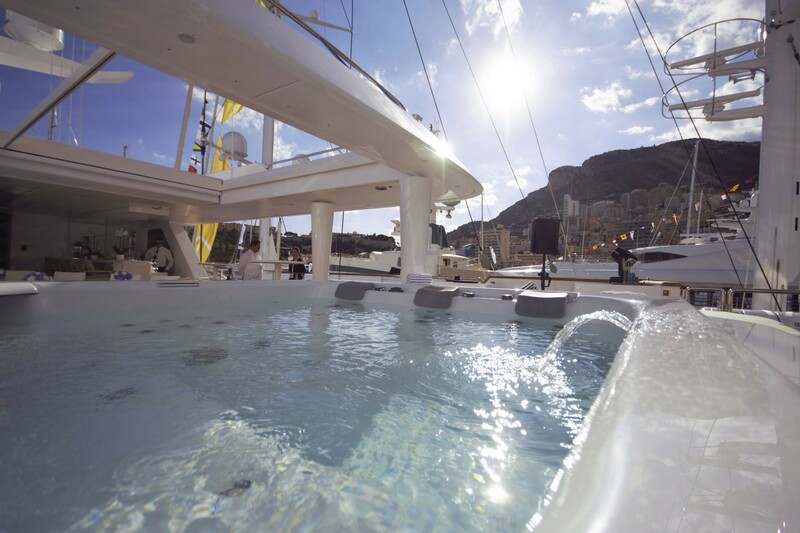 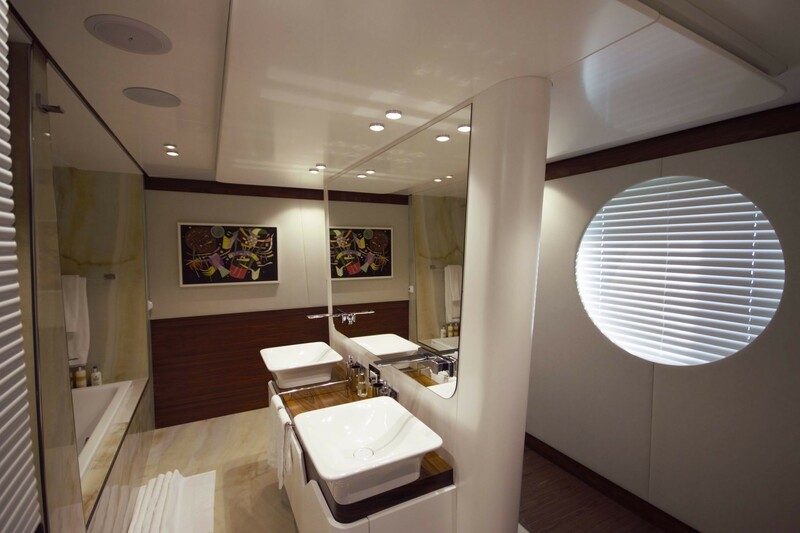 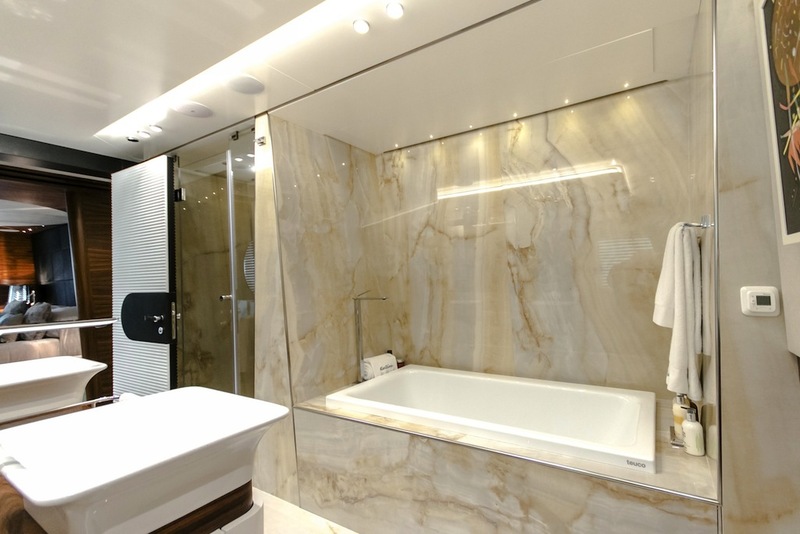 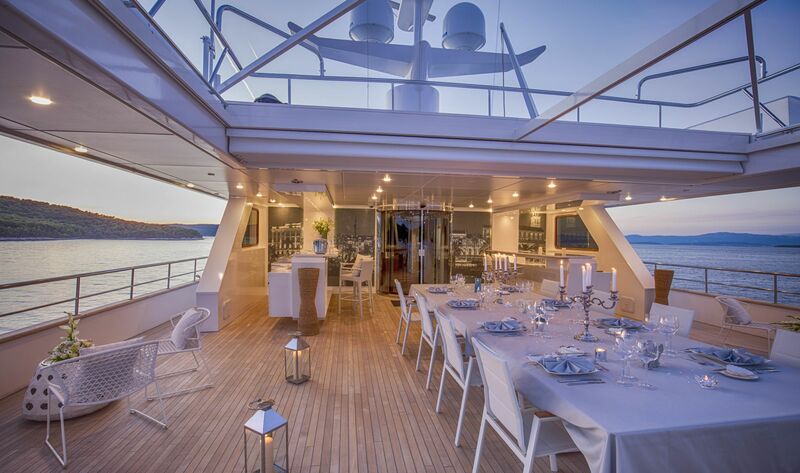 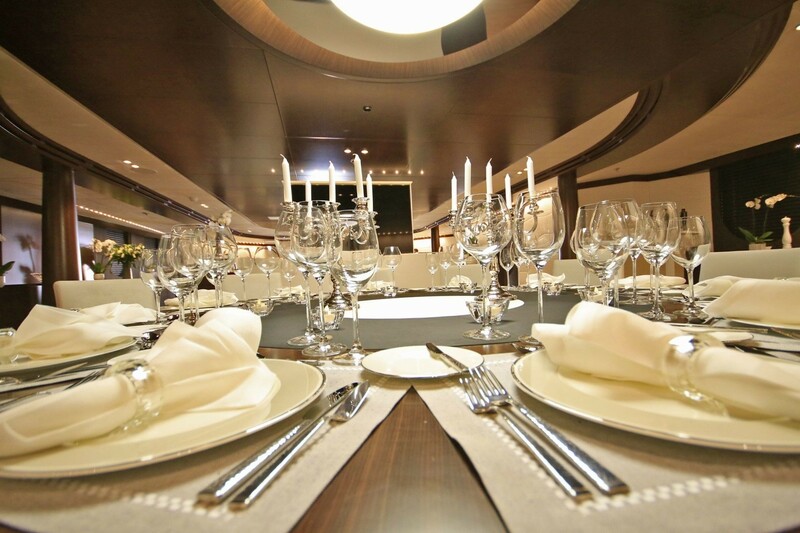 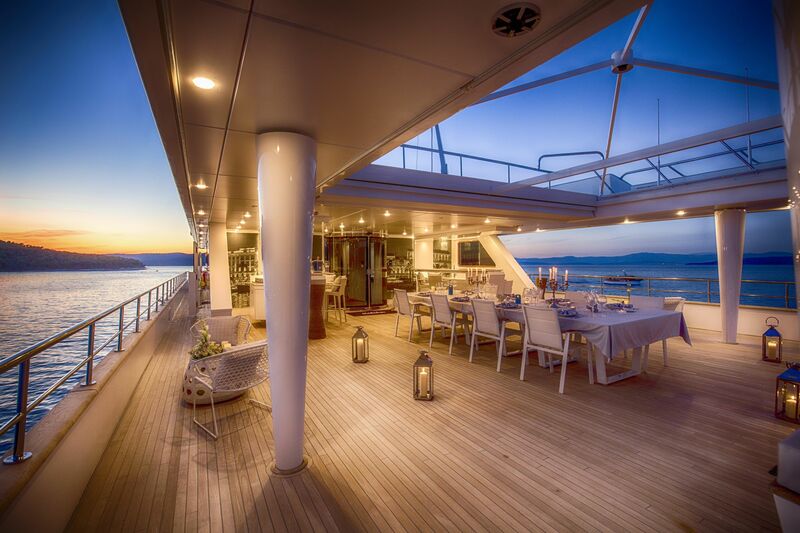 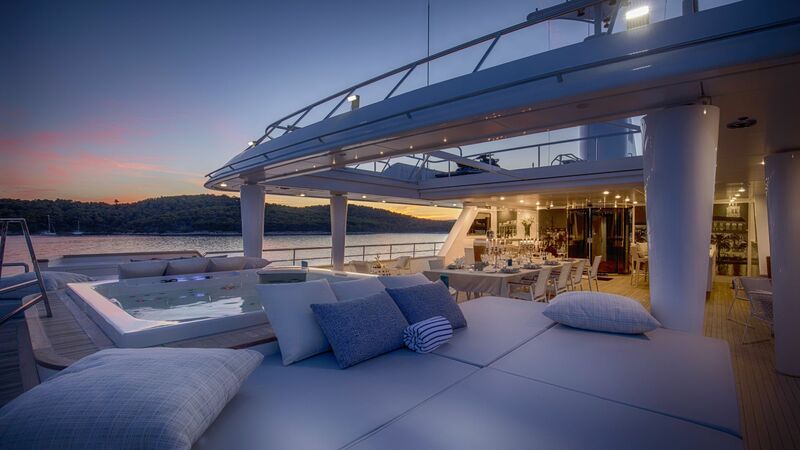 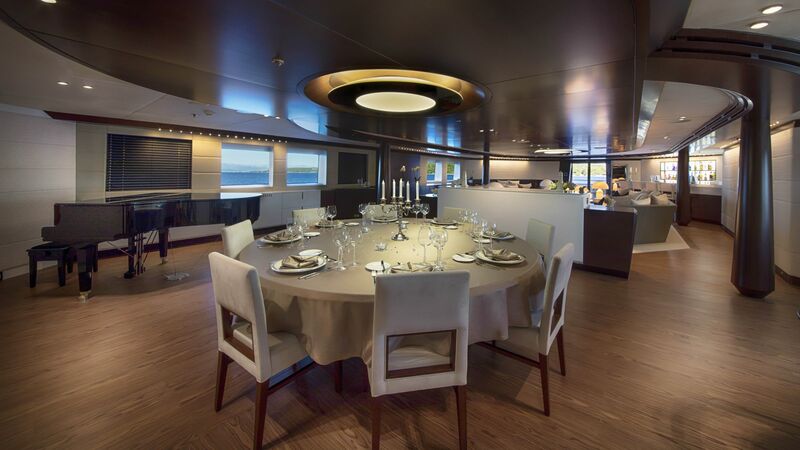 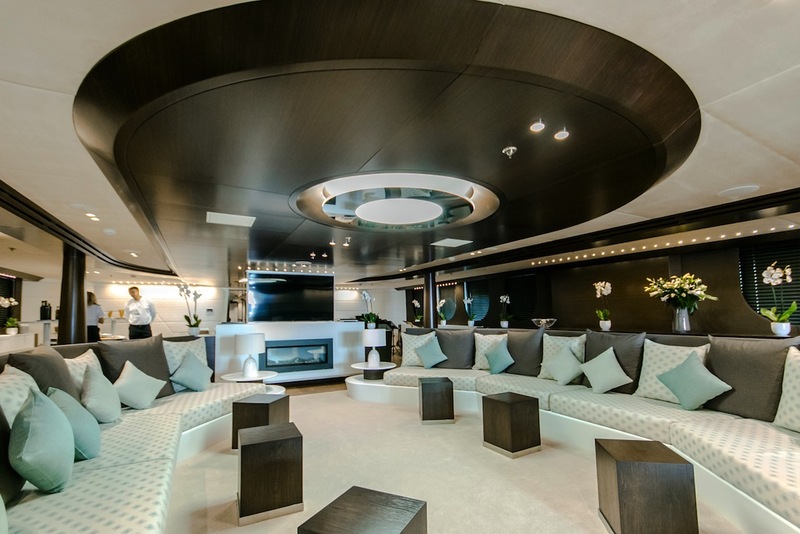 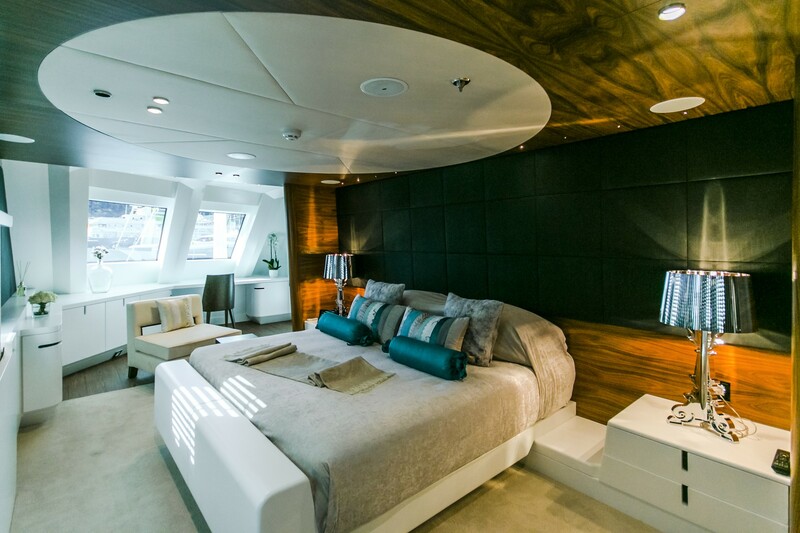 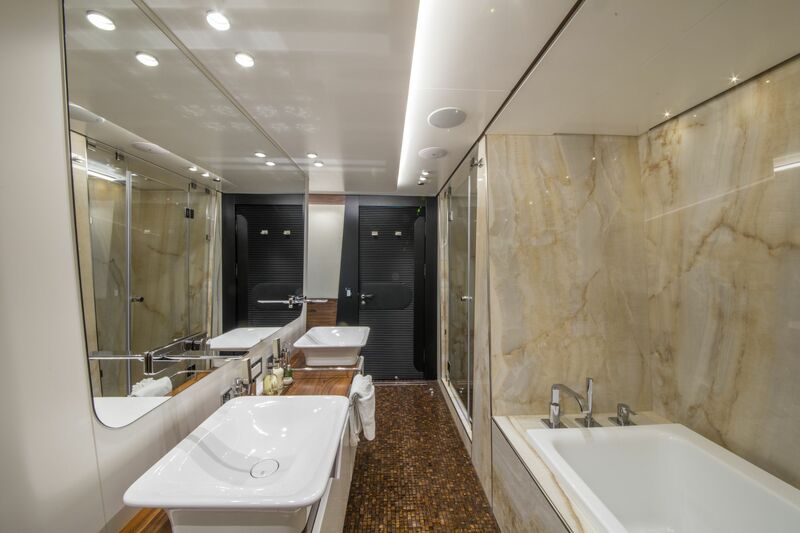 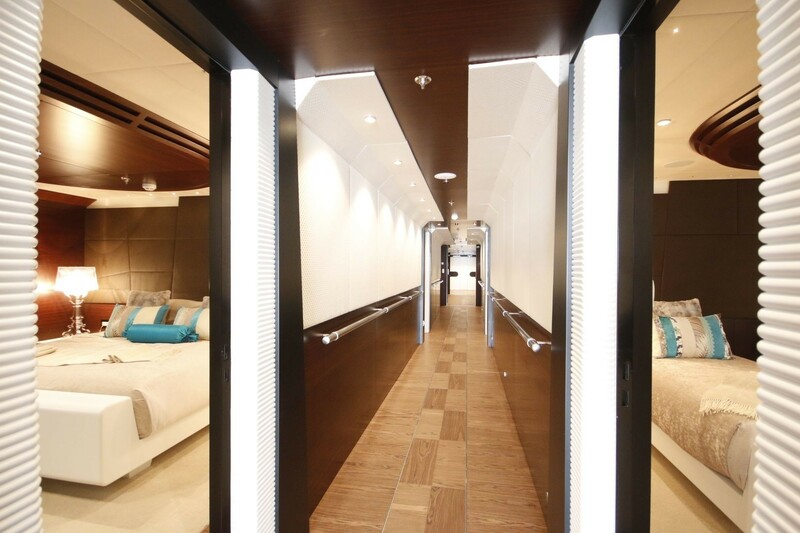 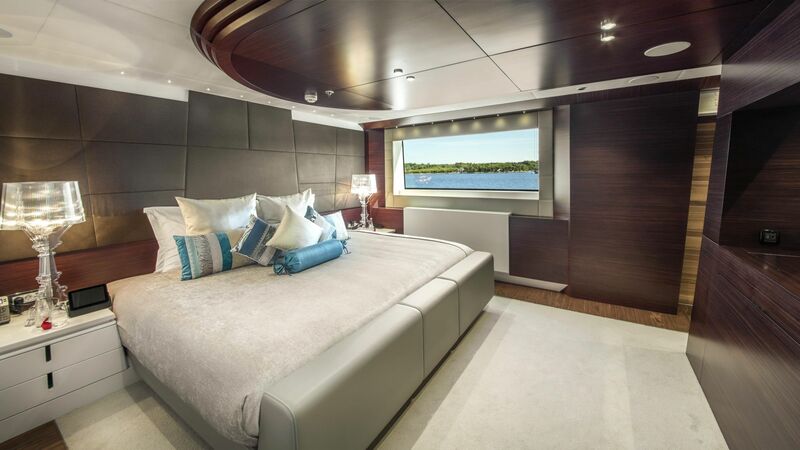 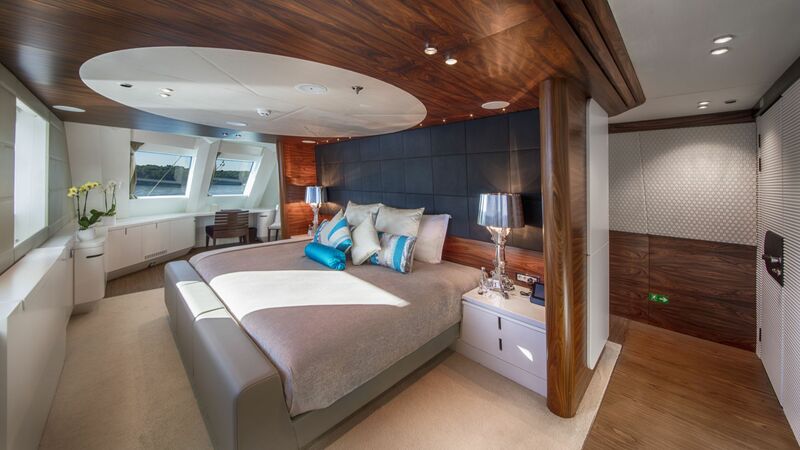 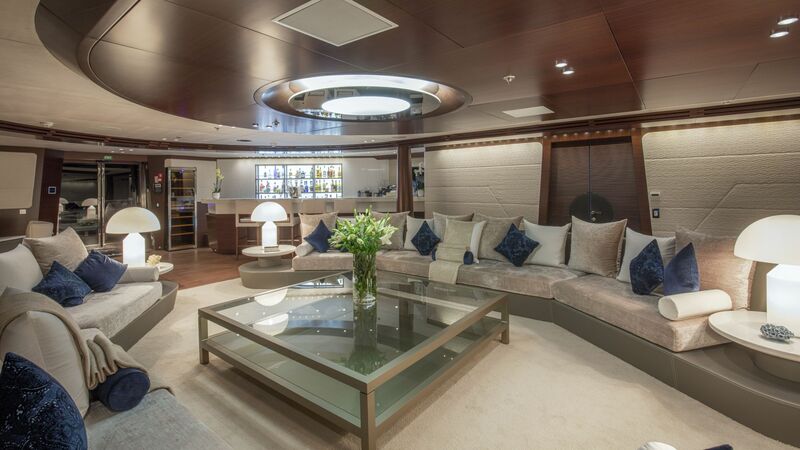 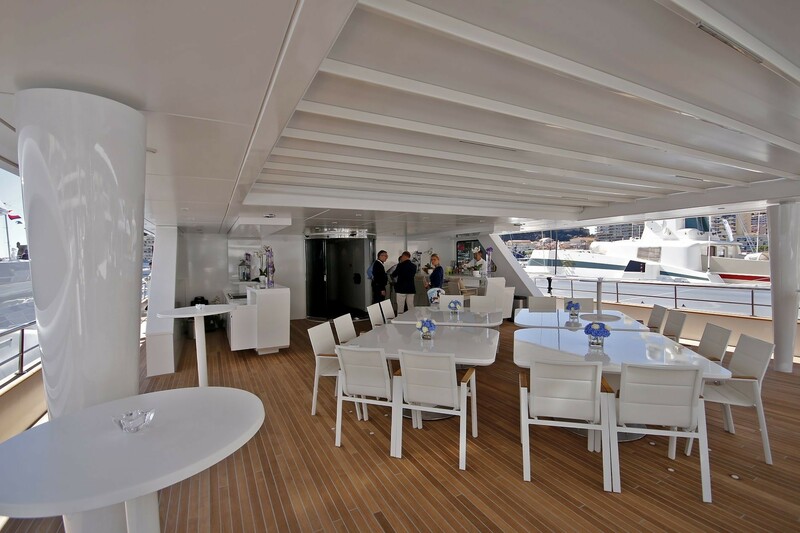 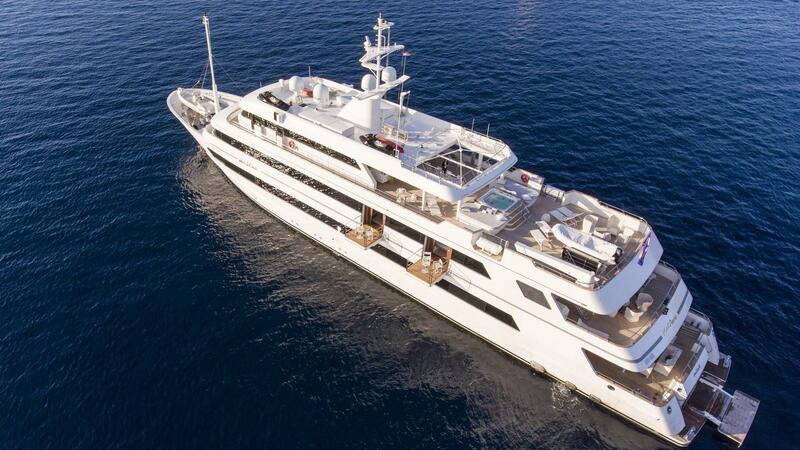 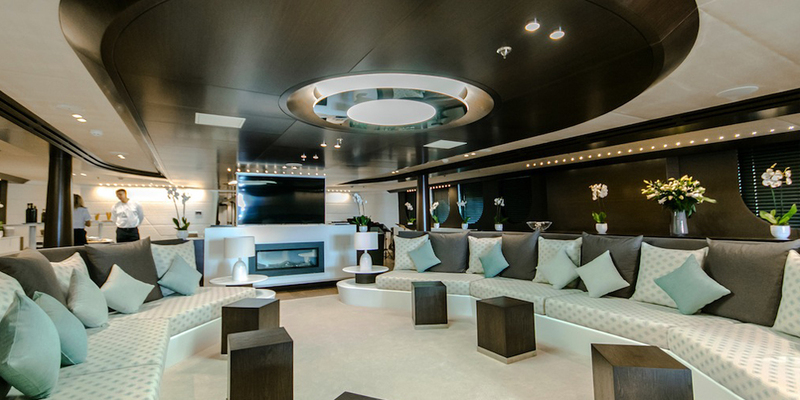 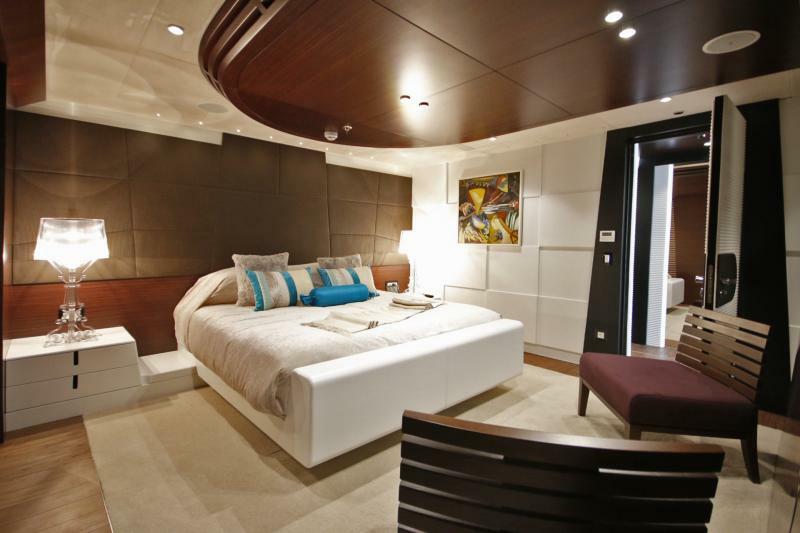 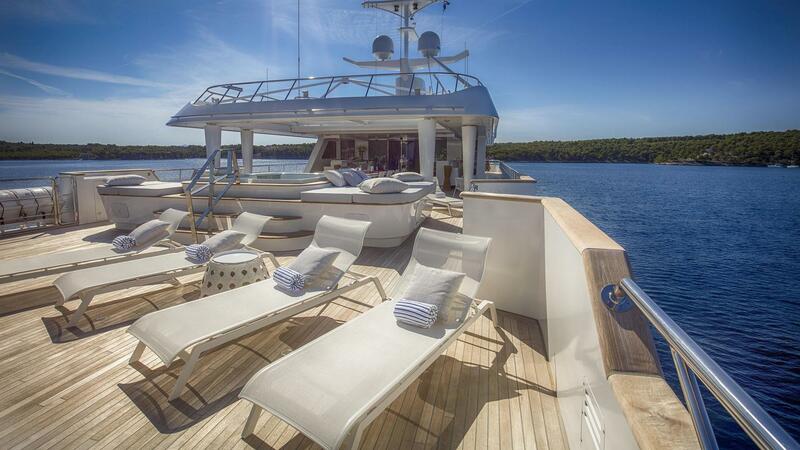 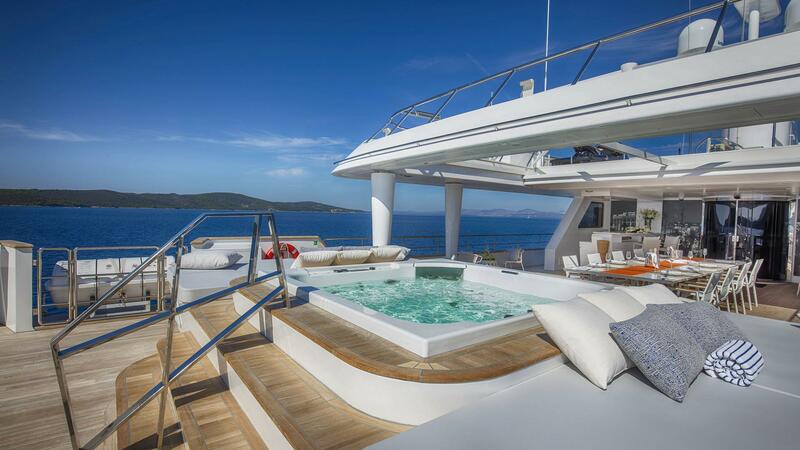 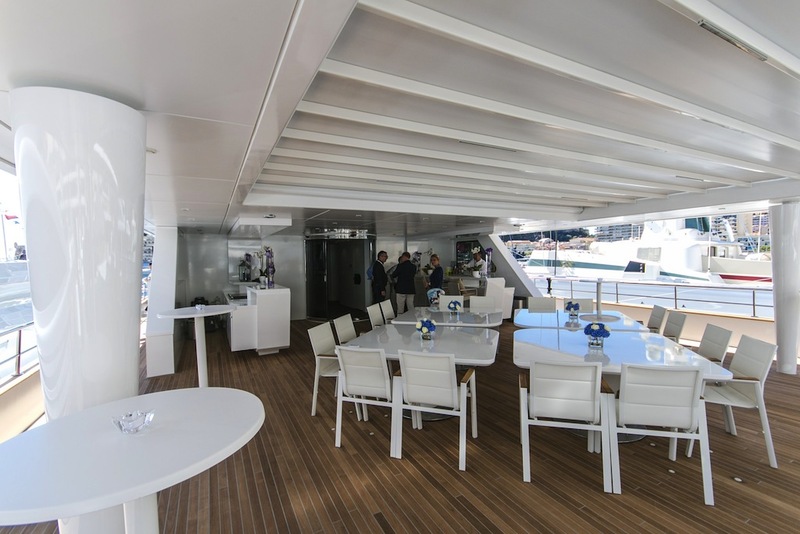 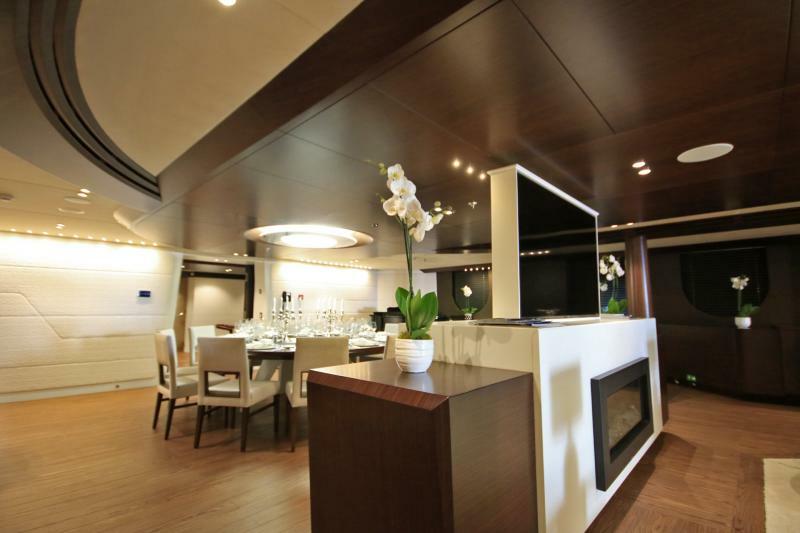 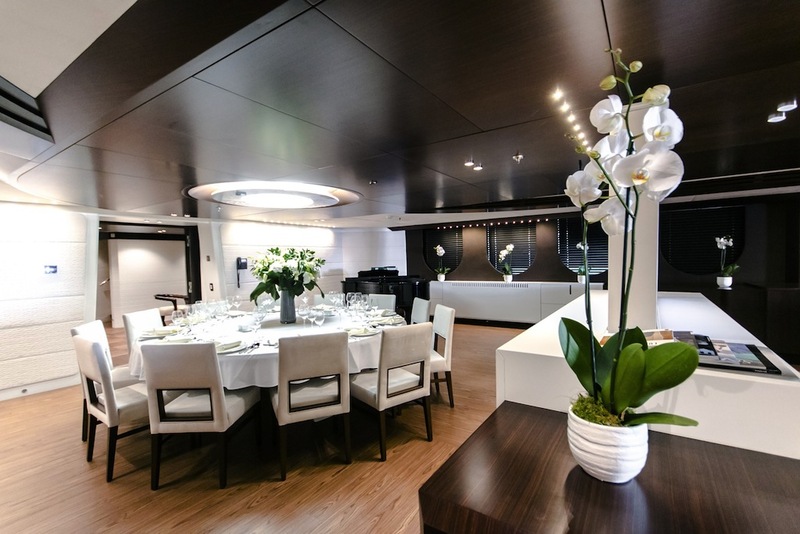 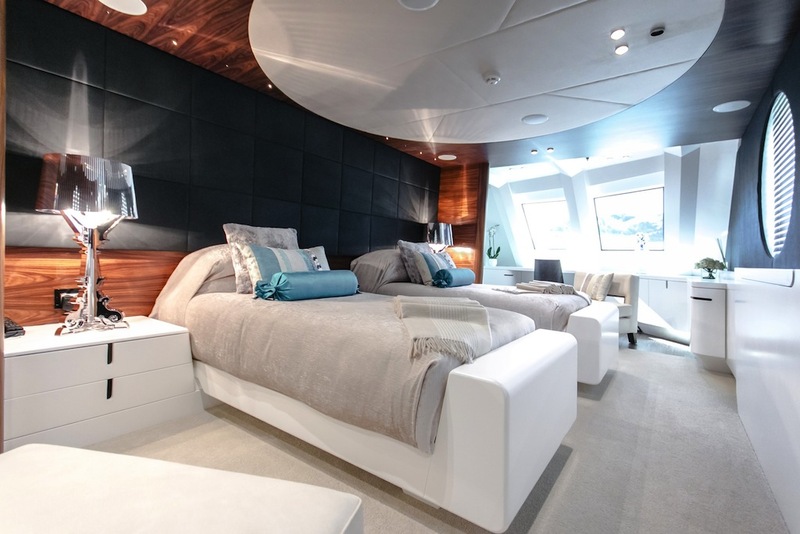 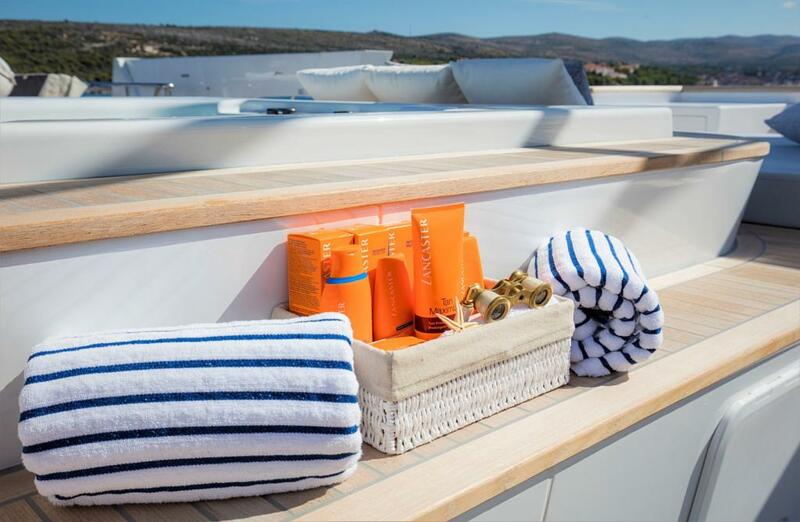 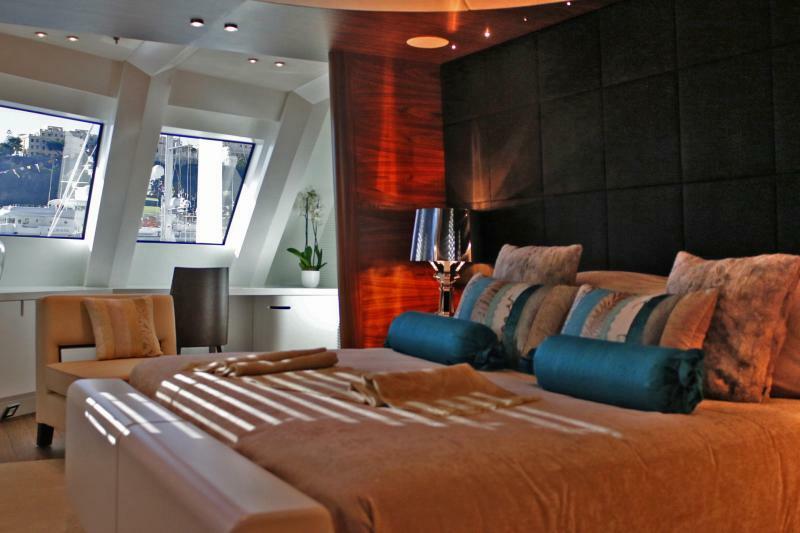 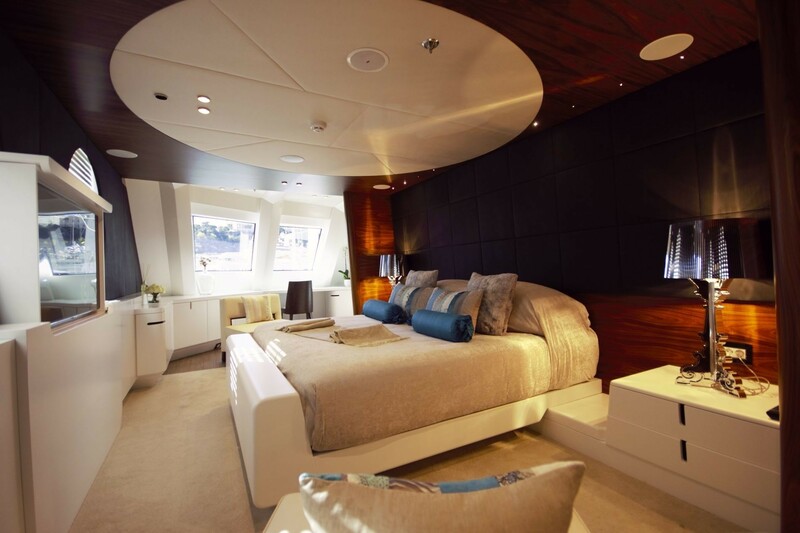 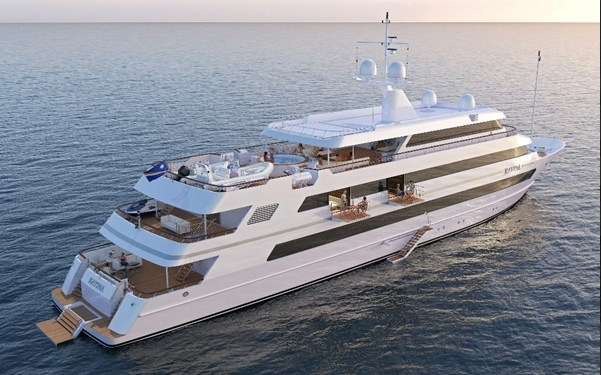 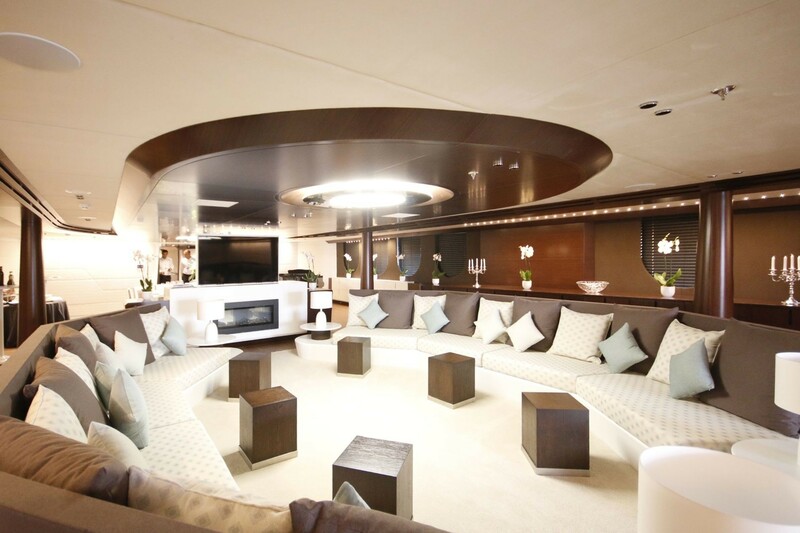 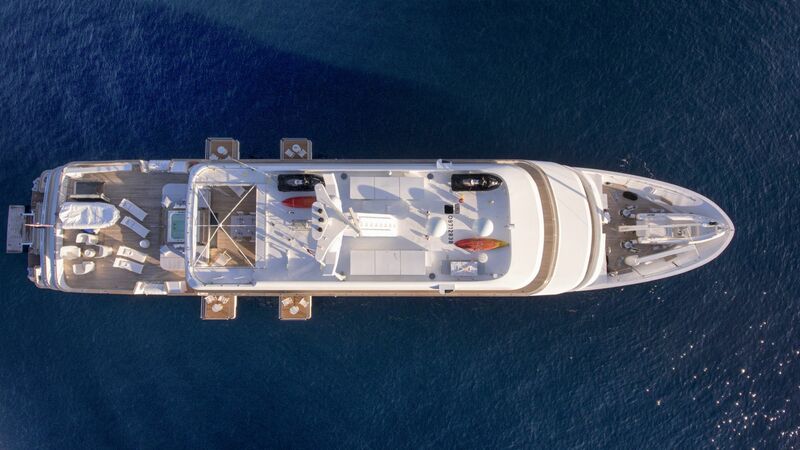 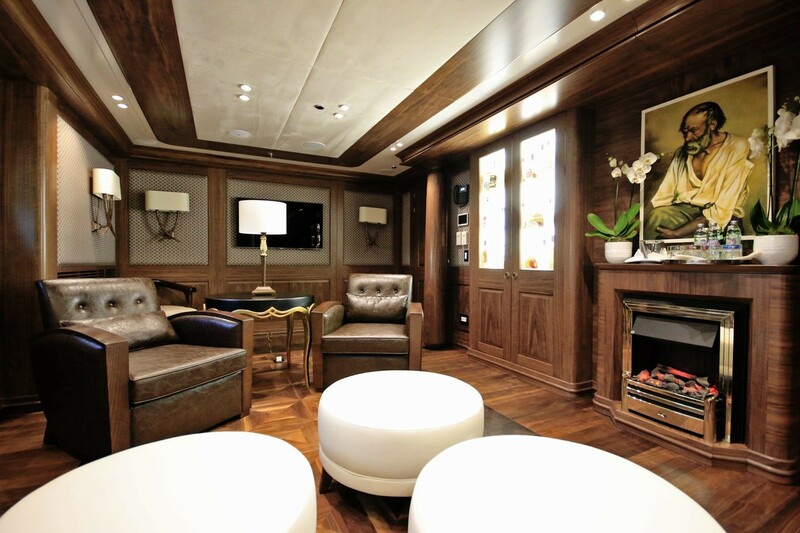 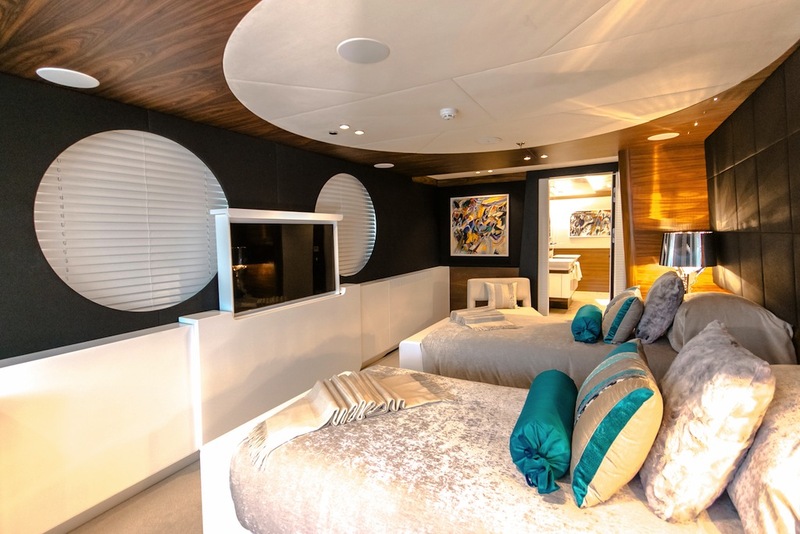 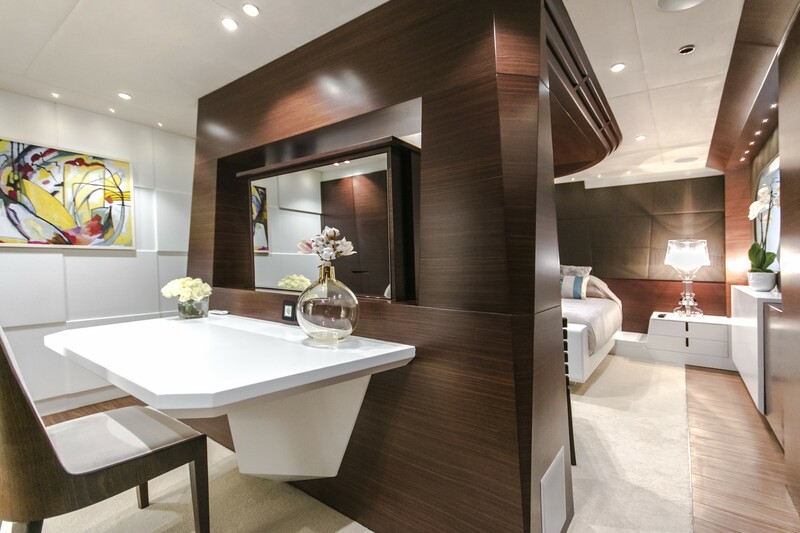 KATINA superyacht provides elegant and comfortable accommodation to 12 guests in total. 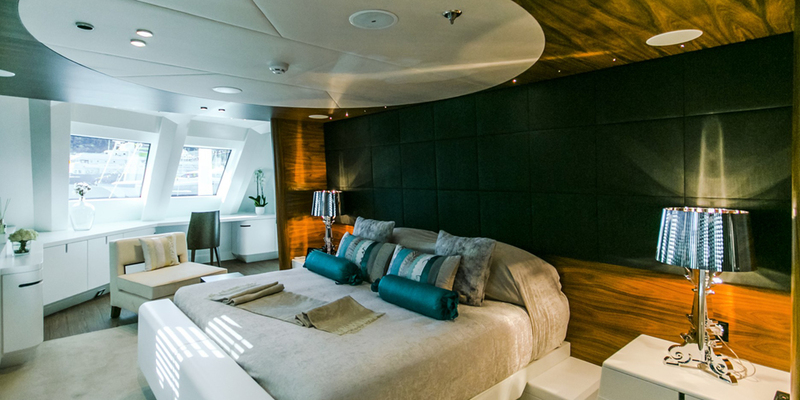 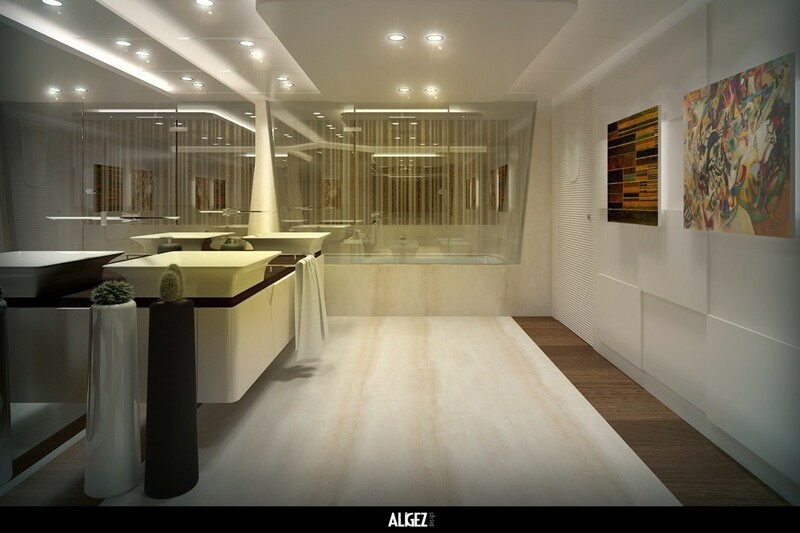 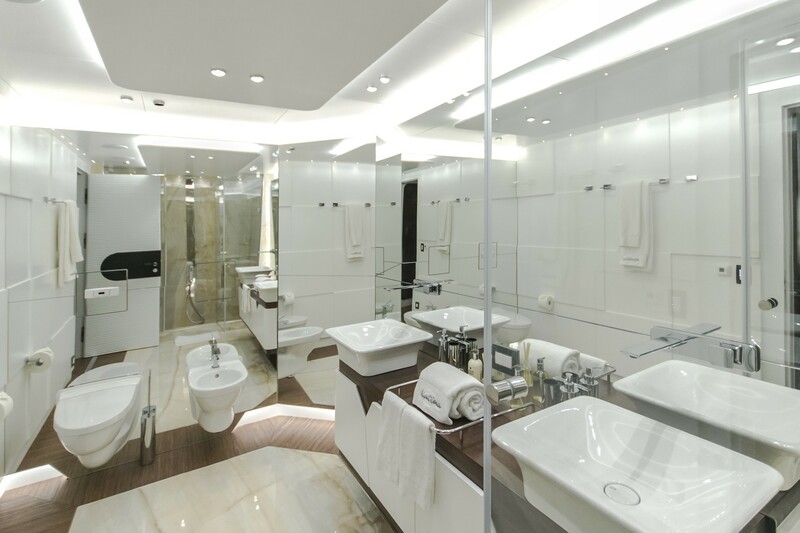 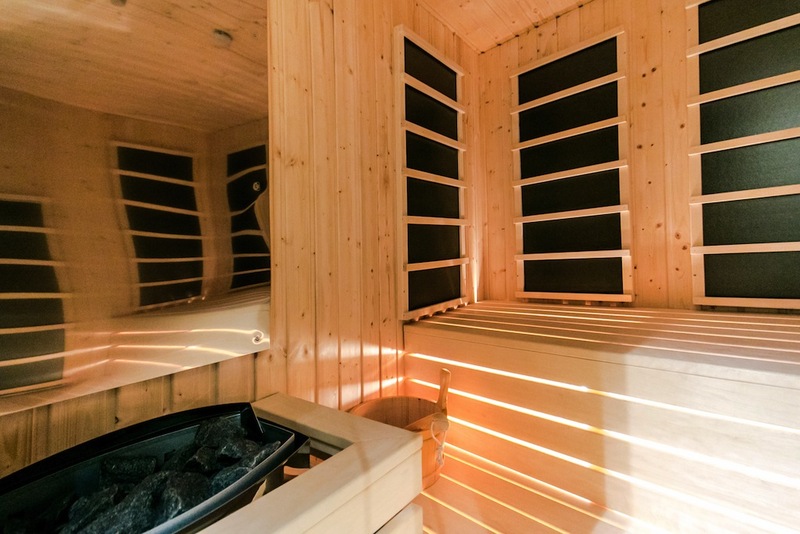 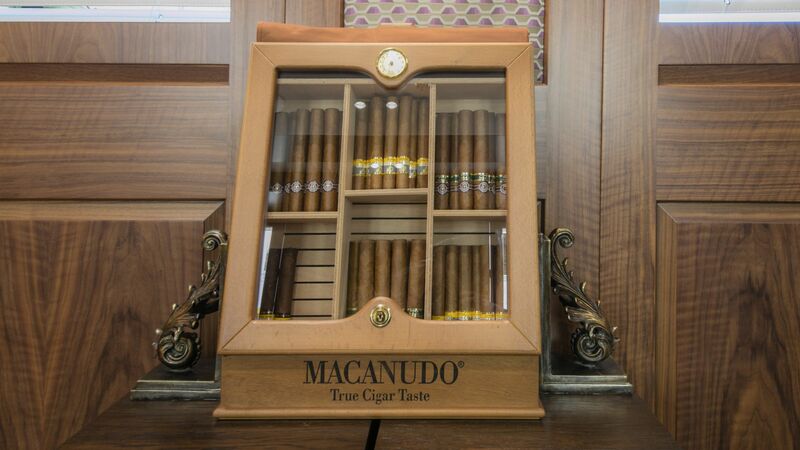 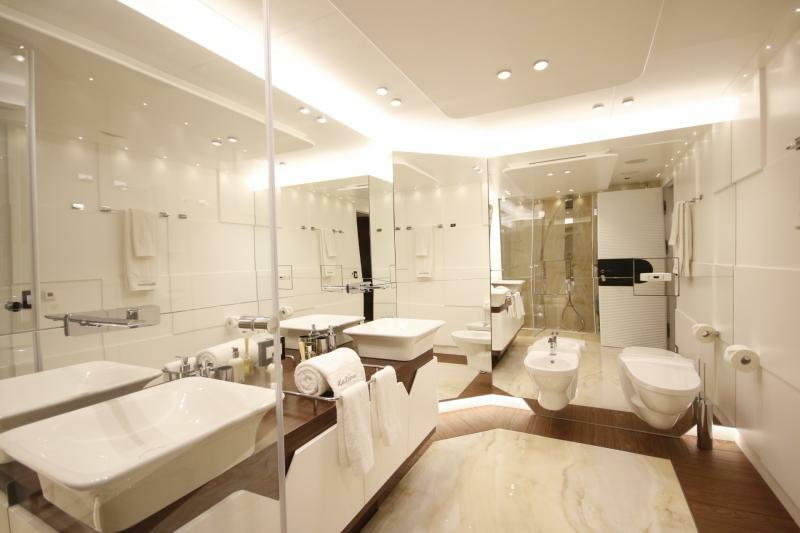 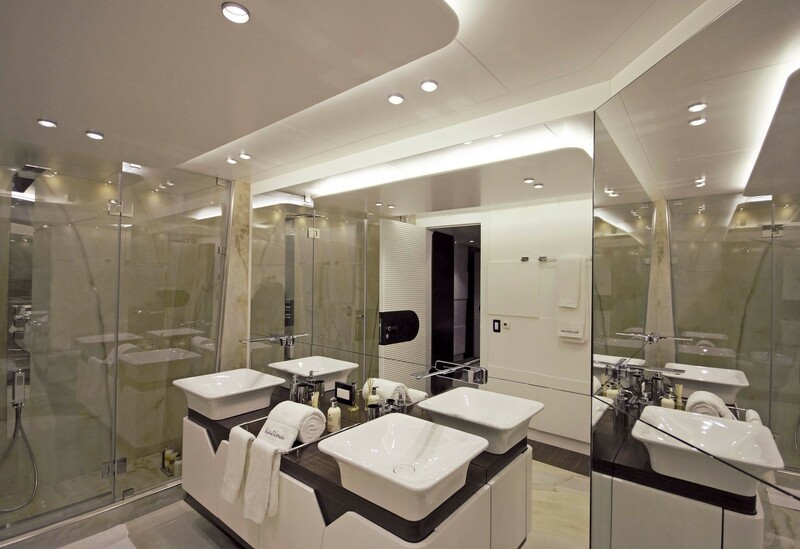 There are 6 beautiful cabins, including a luxurious master suite, three double cabins, and two twin cabins, all of which come with en suite facilities. 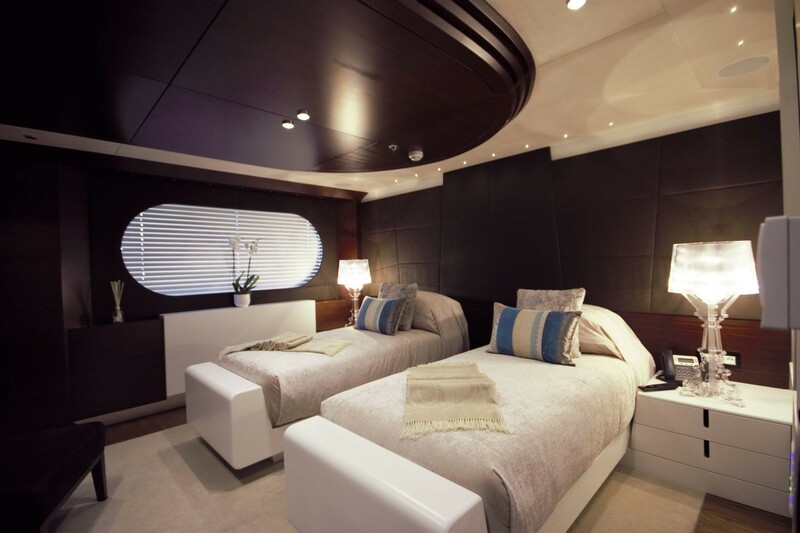 Guests are looked after by a highly professional crew of 8 members.